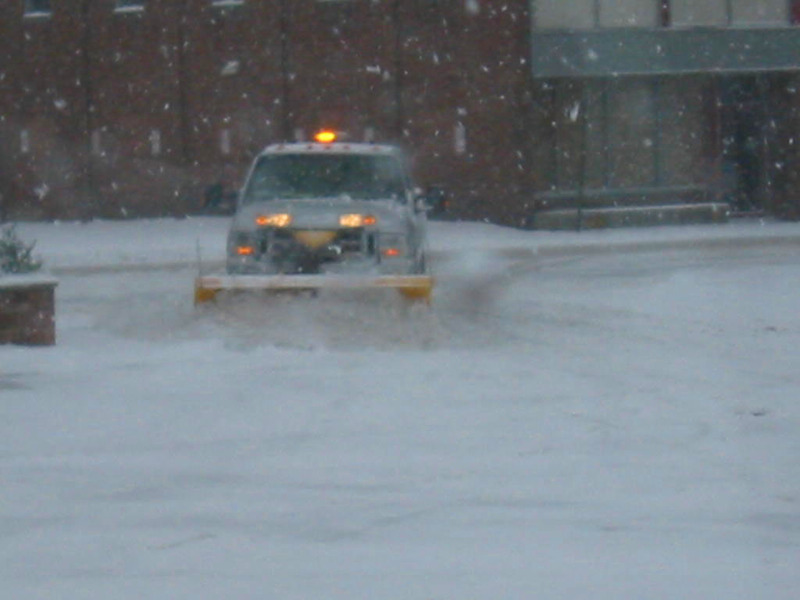 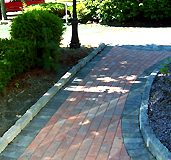 Brick, border and curbing. 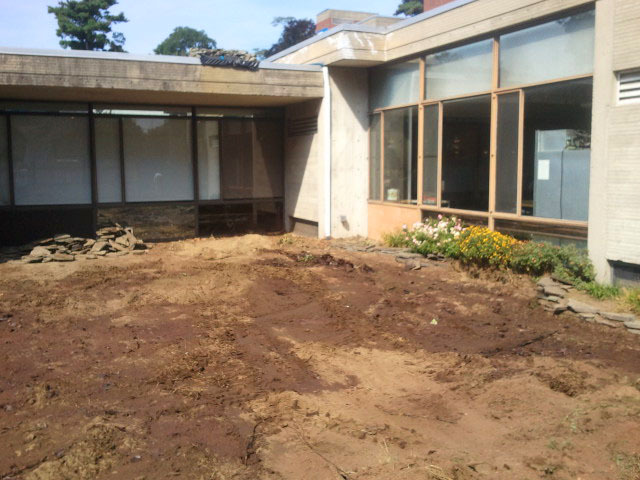 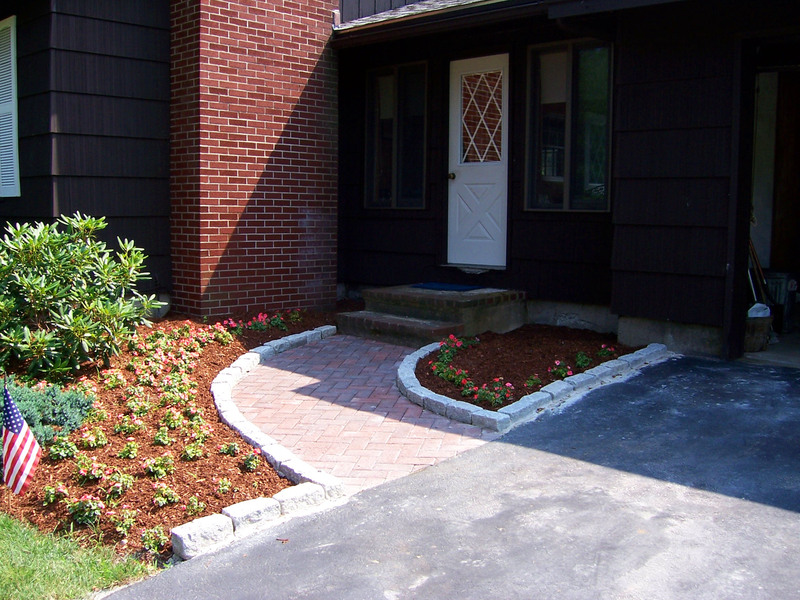 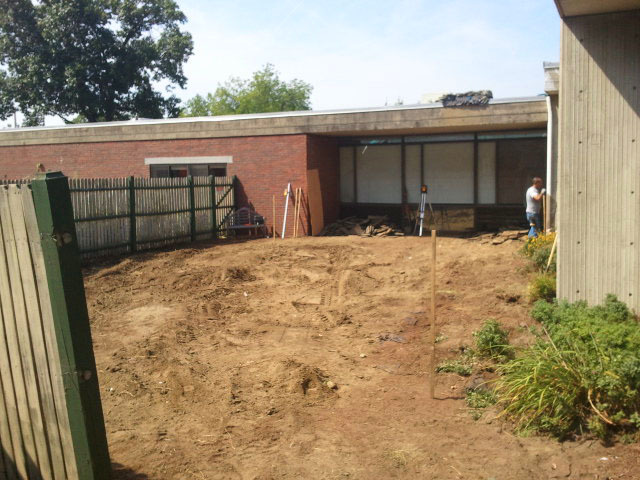 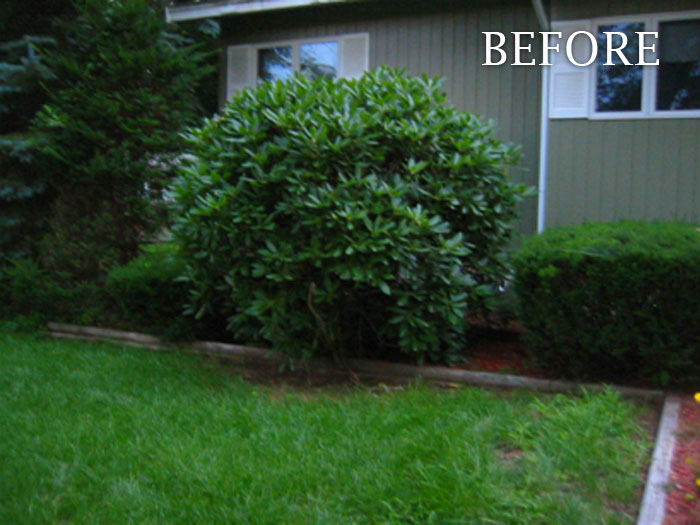 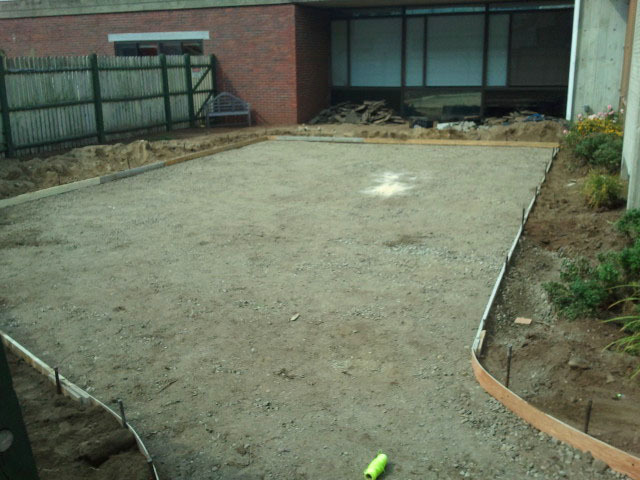 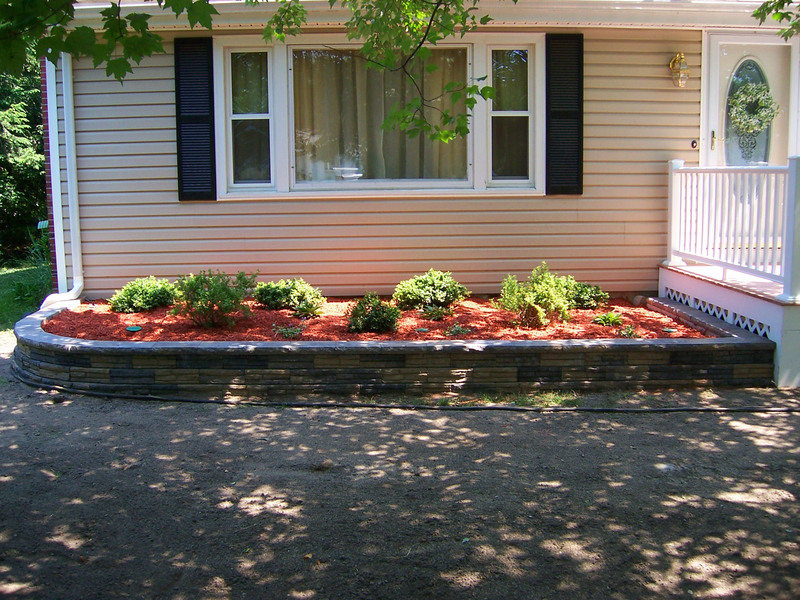 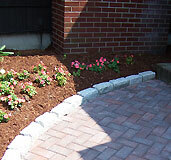 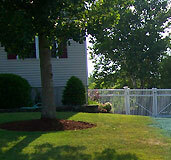 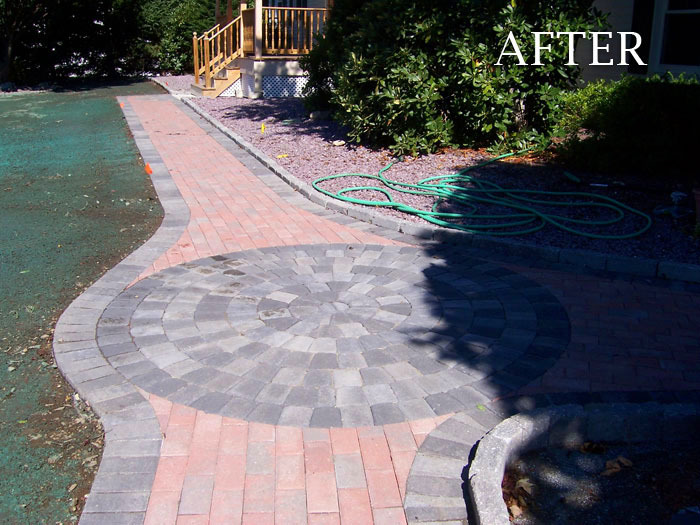 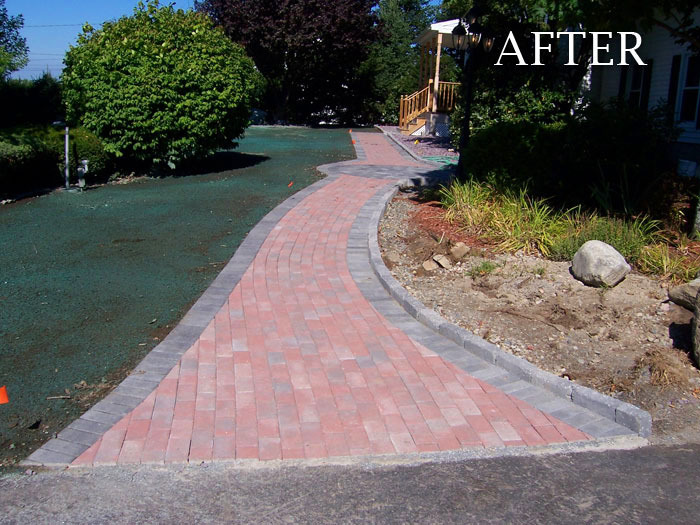 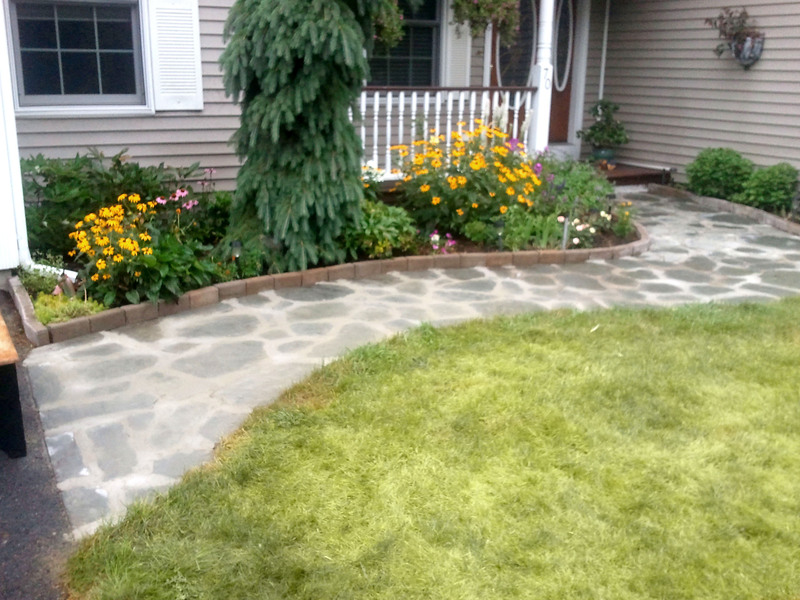 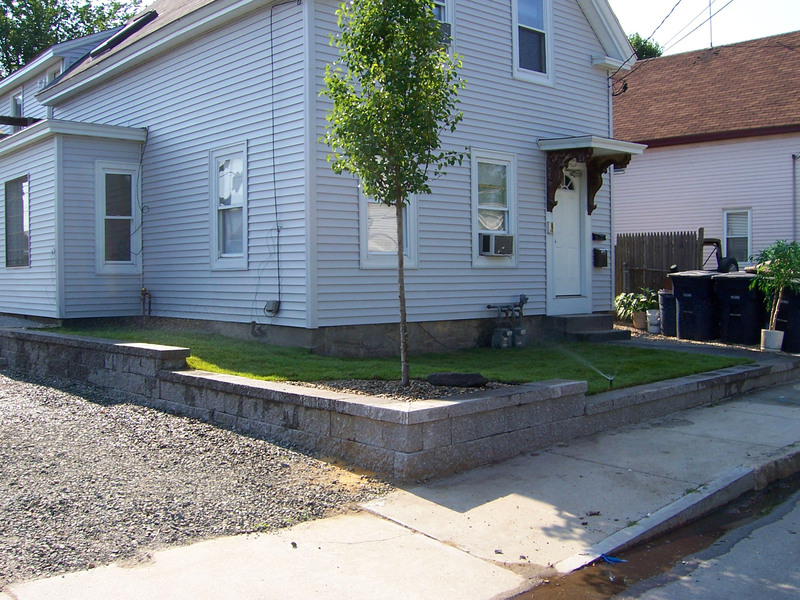 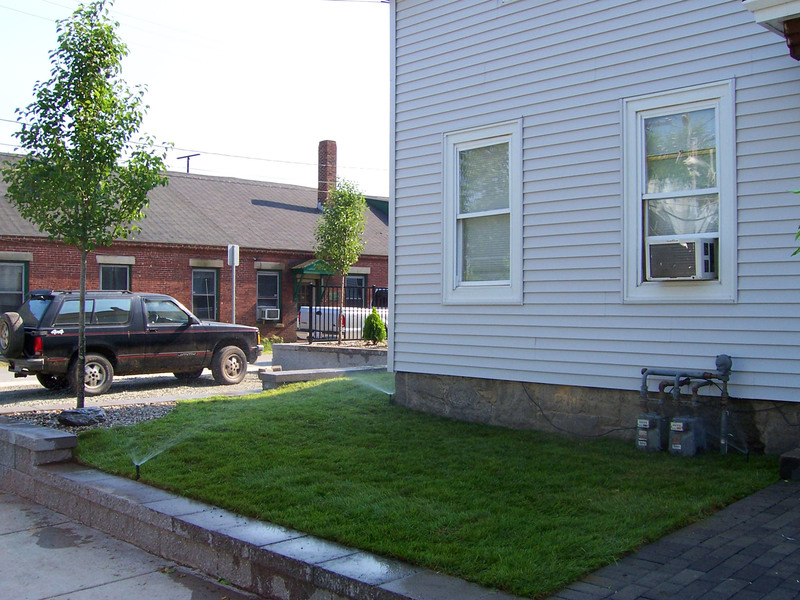 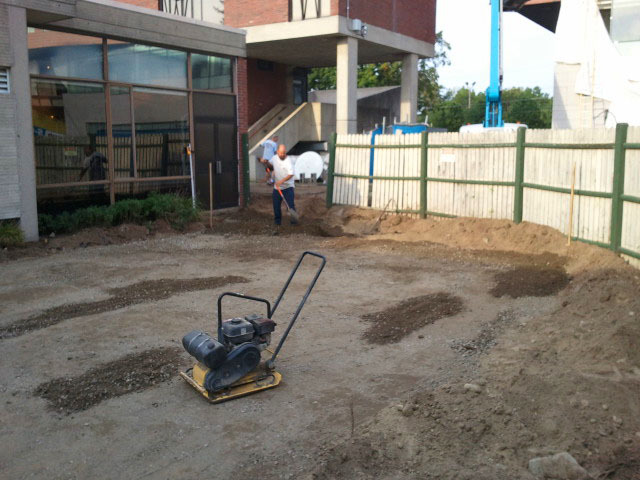 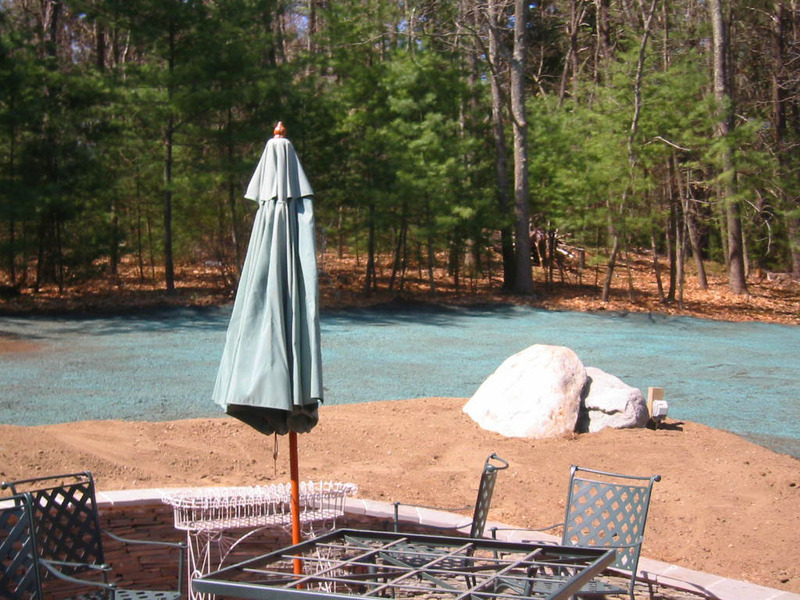 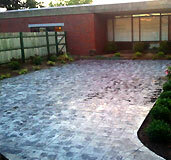 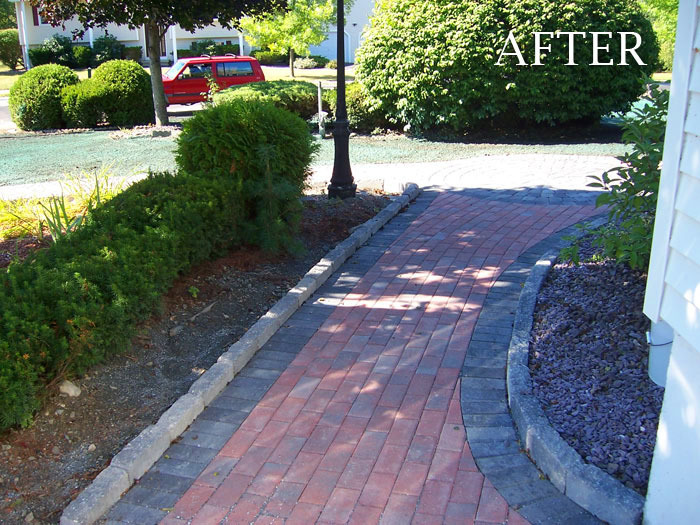 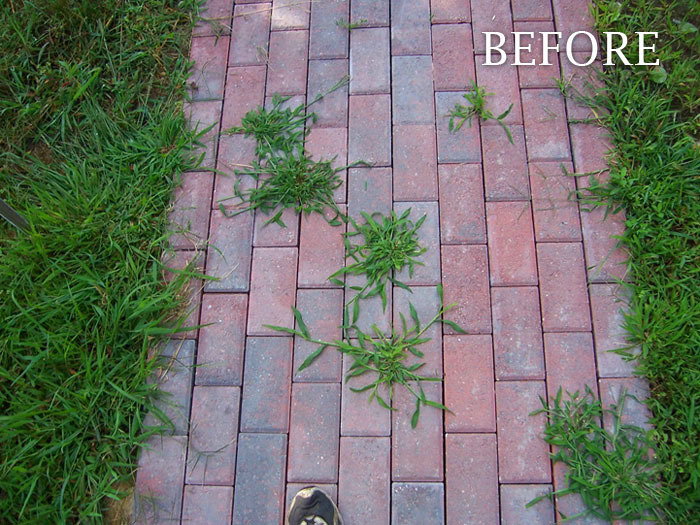 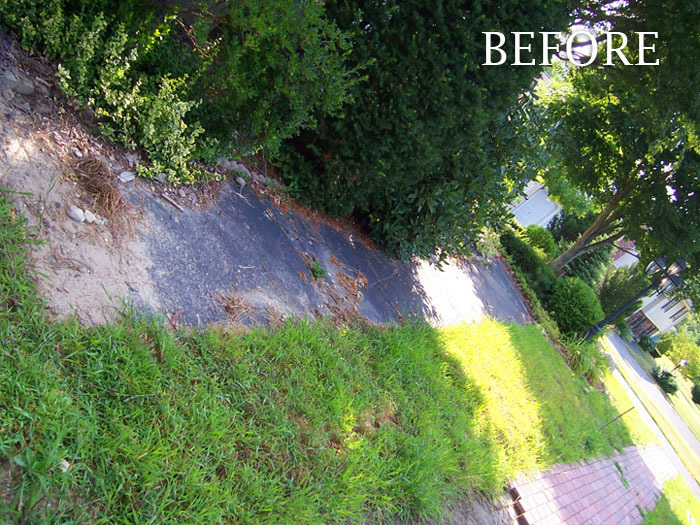 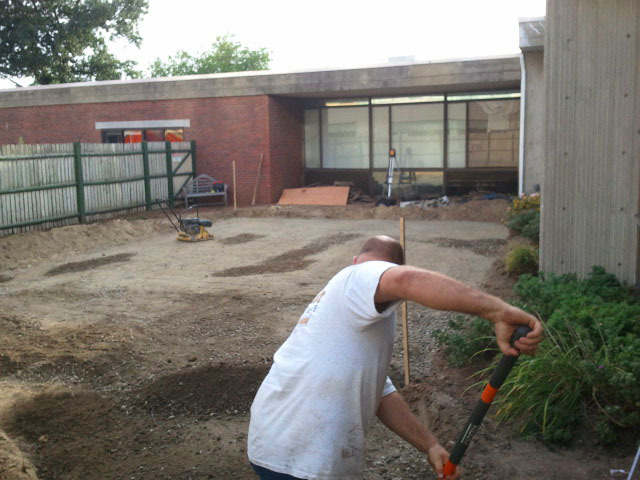 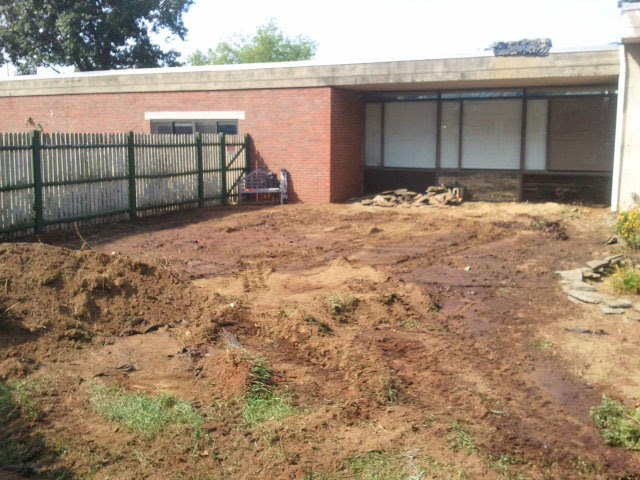 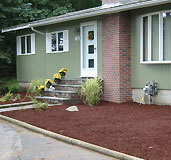 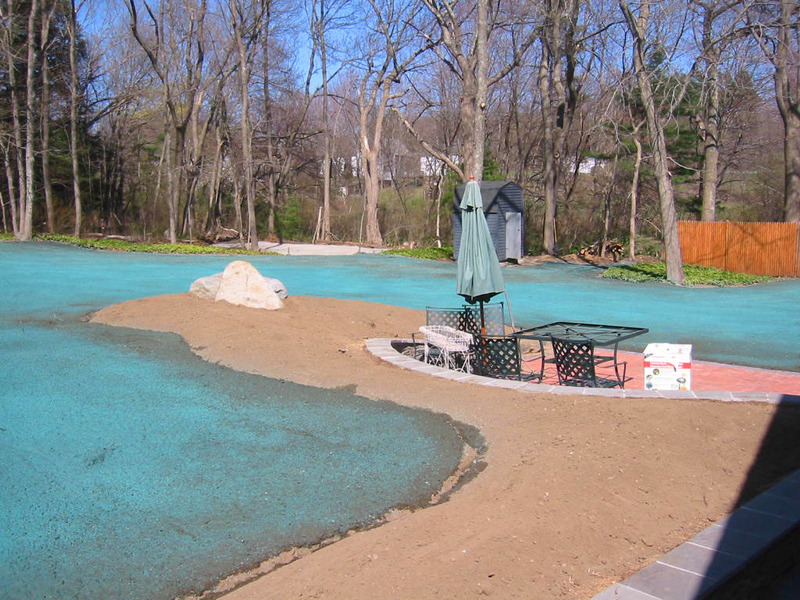 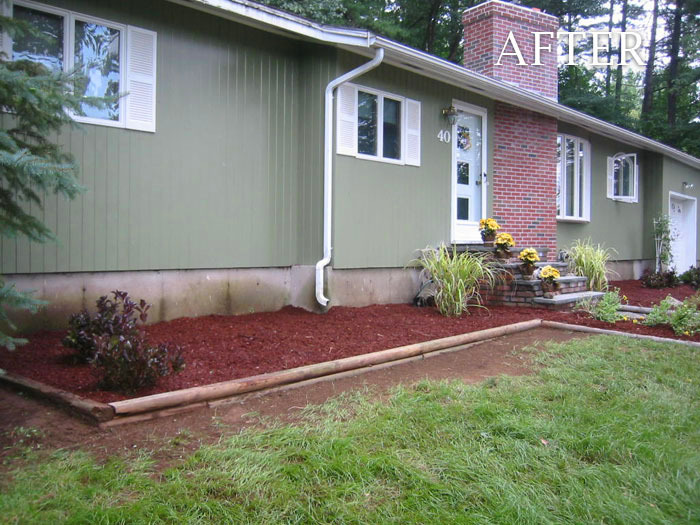 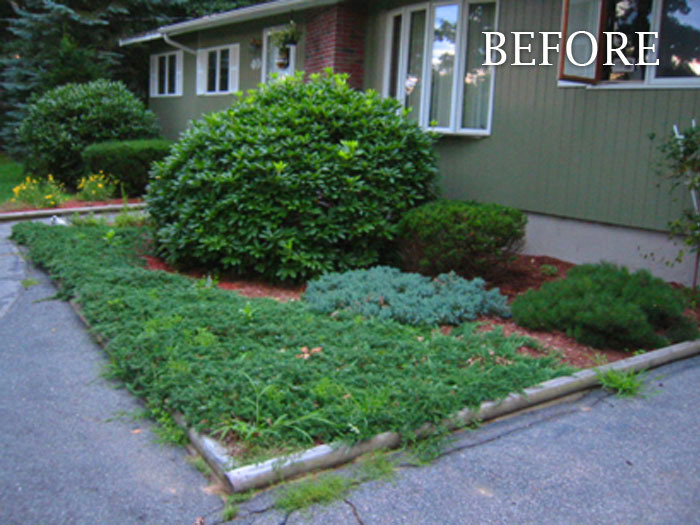 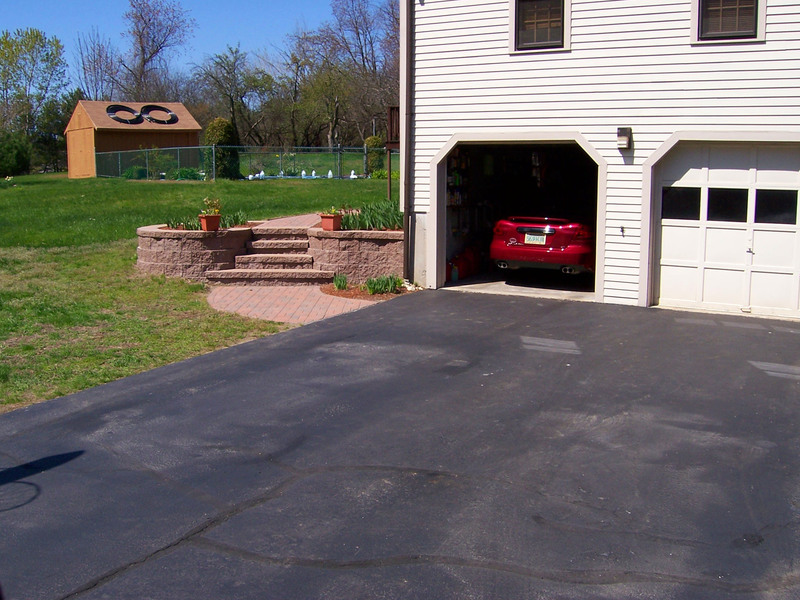 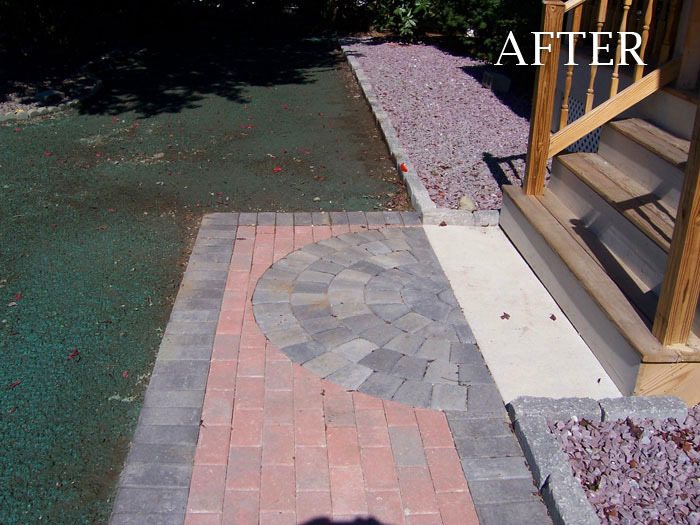 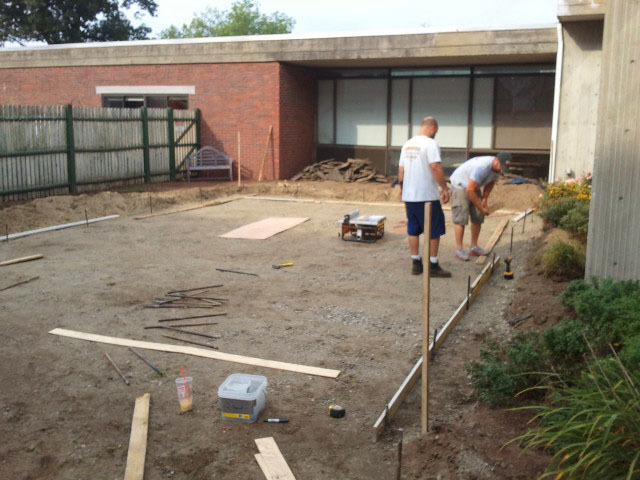 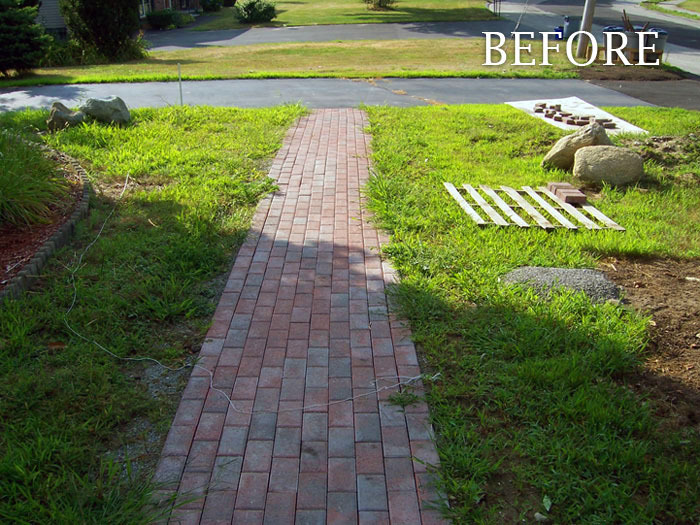 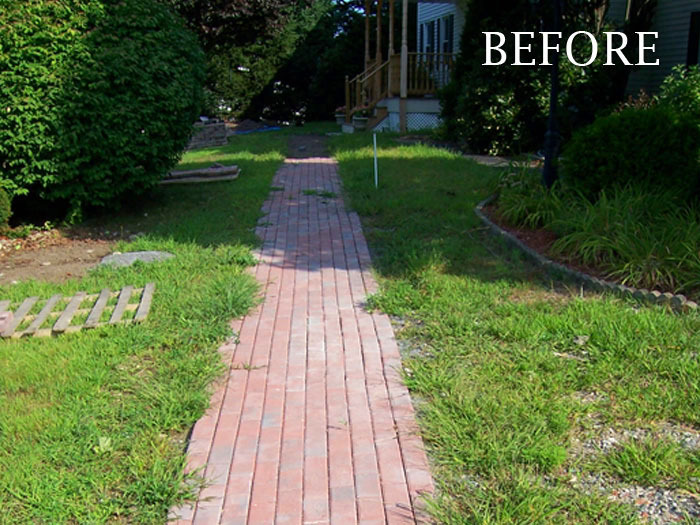 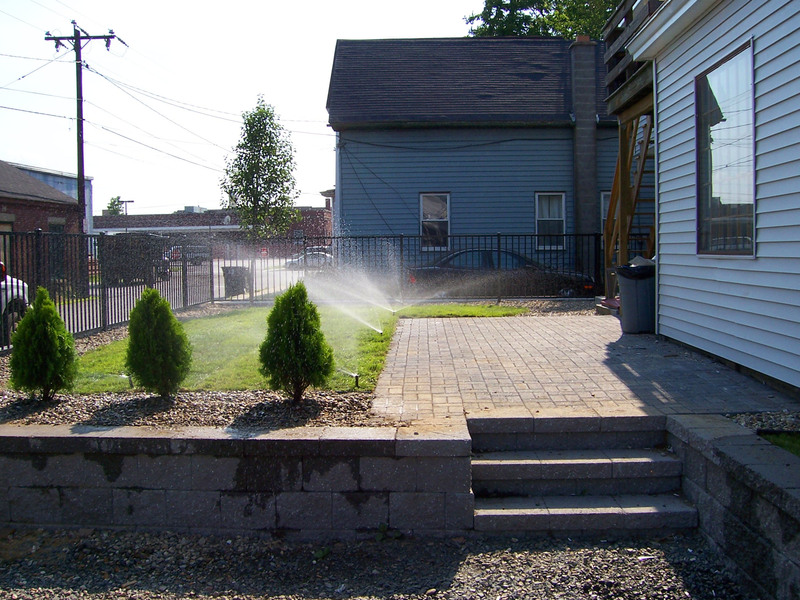 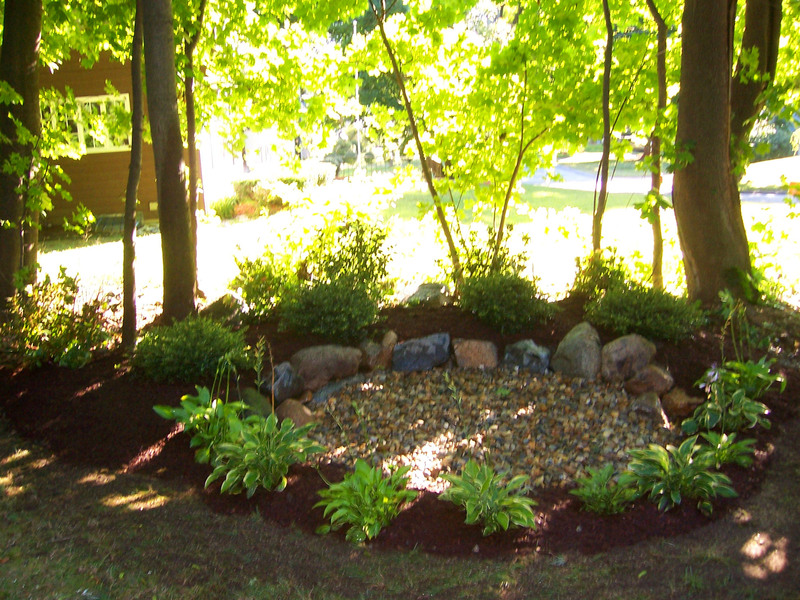 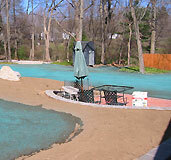 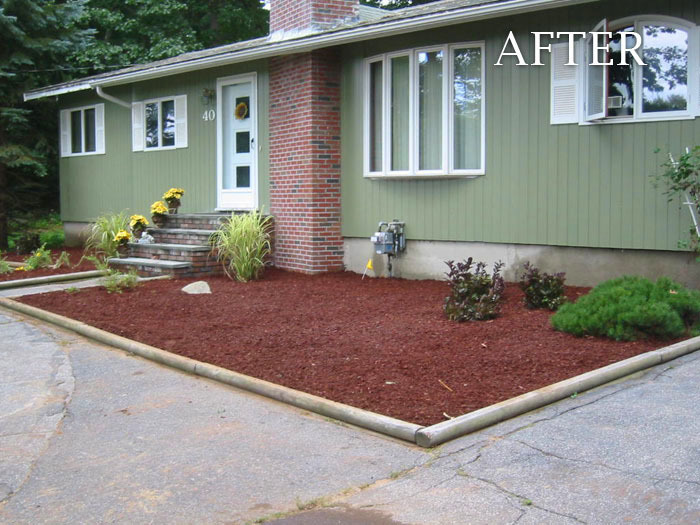 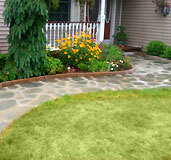 This project also included renovating the lawn and installing an irrigation system. 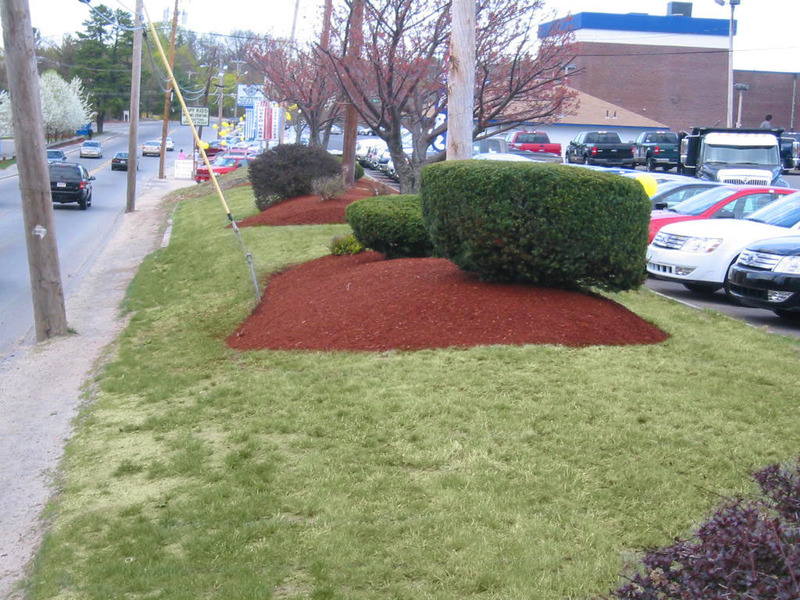 Customer wanted to clean out over-growth on budget to re-plant at a later date. 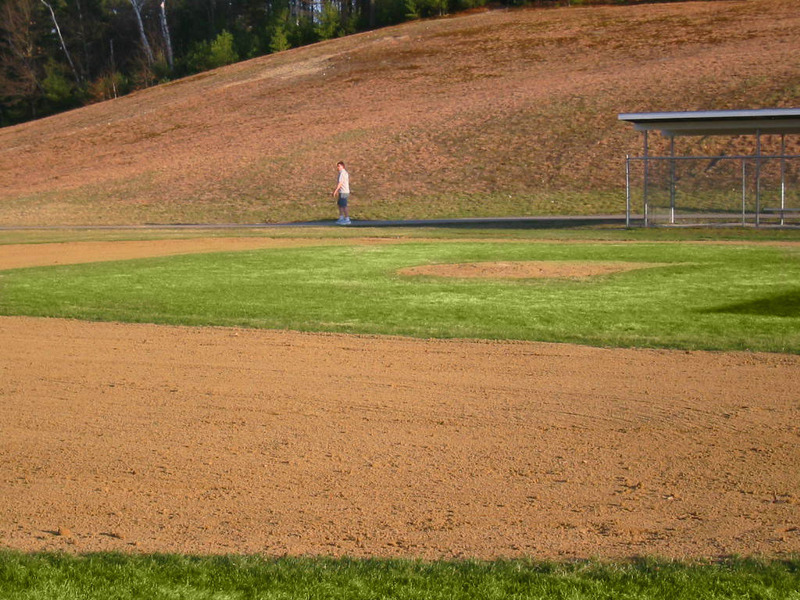 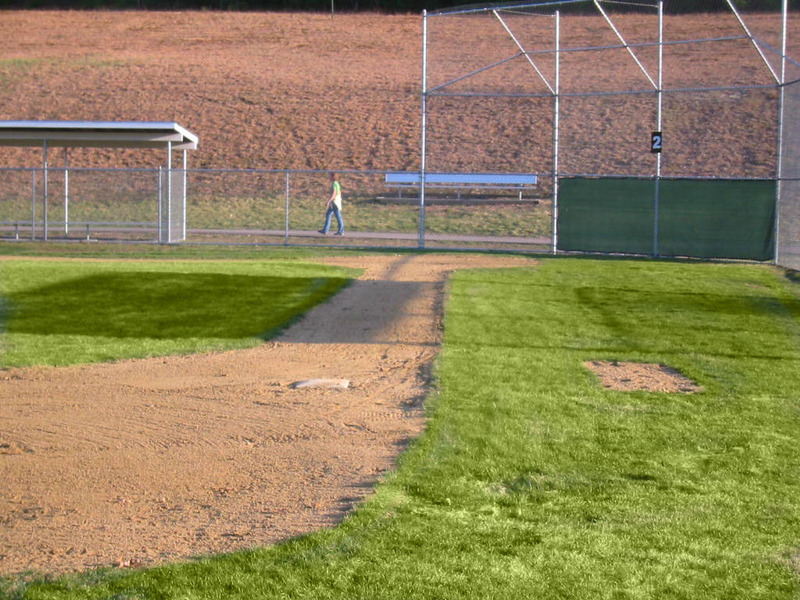 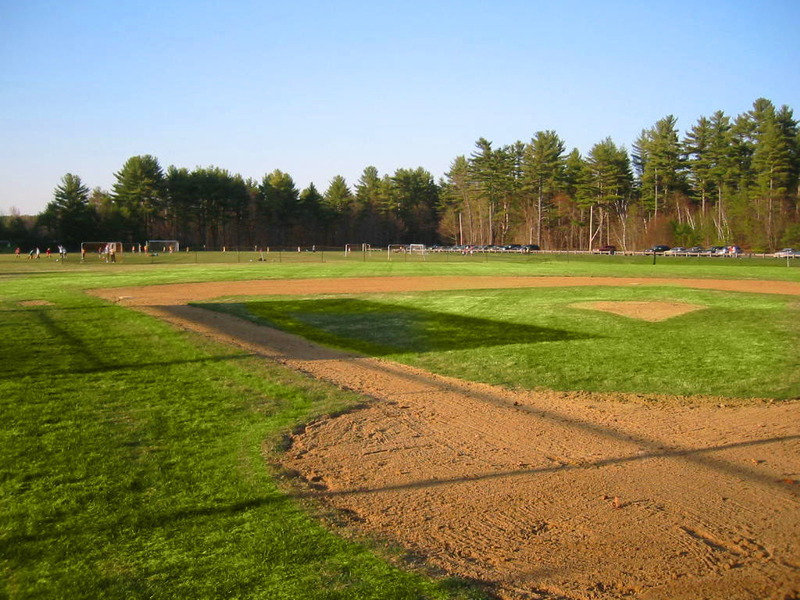 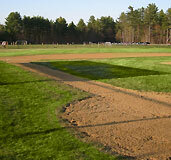 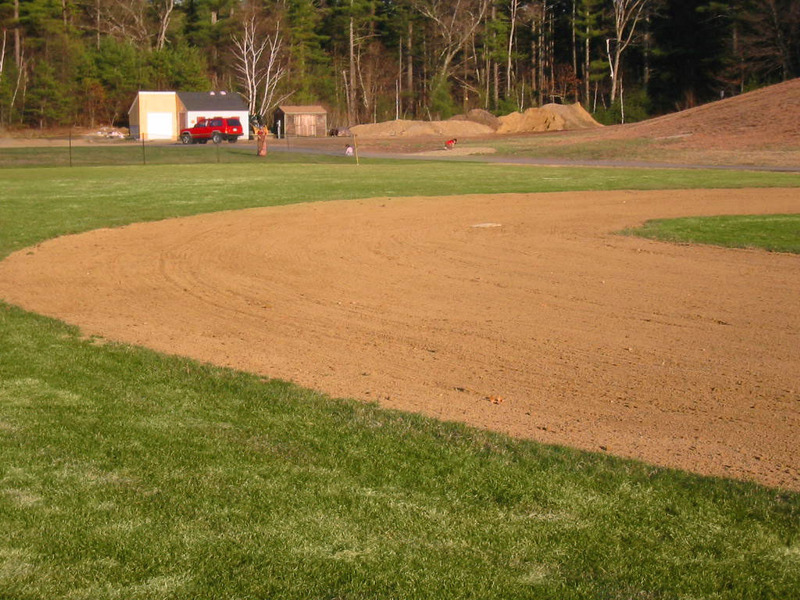 Complete Renovation of the infield for the upcoming baseball season. 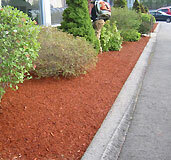 Bark mulch installation at Drumhill Ford. 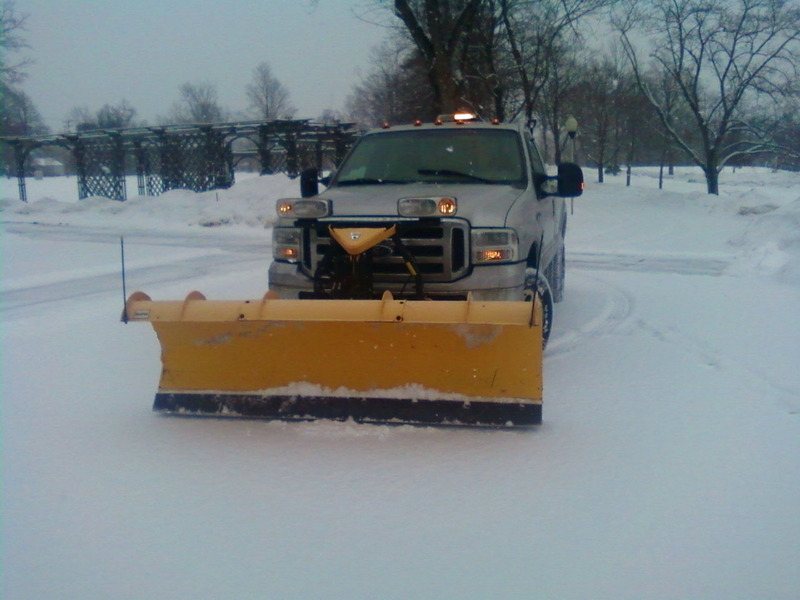 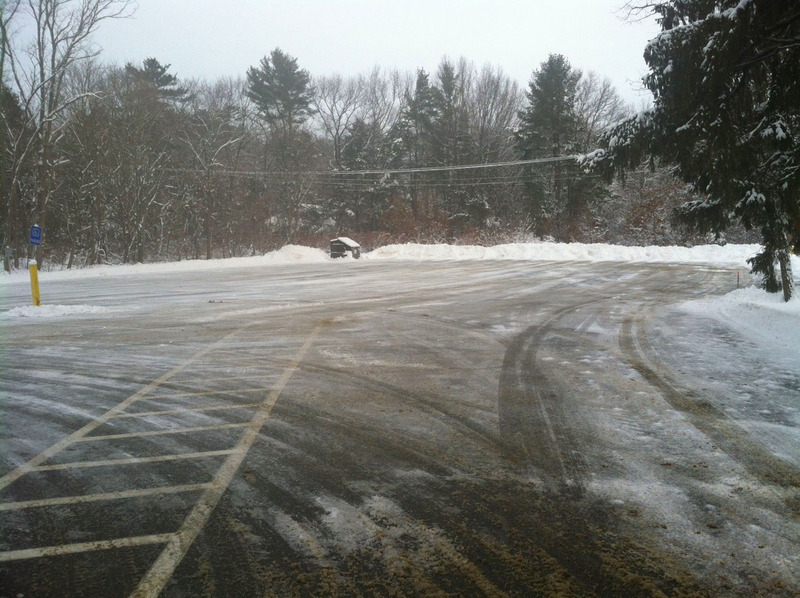 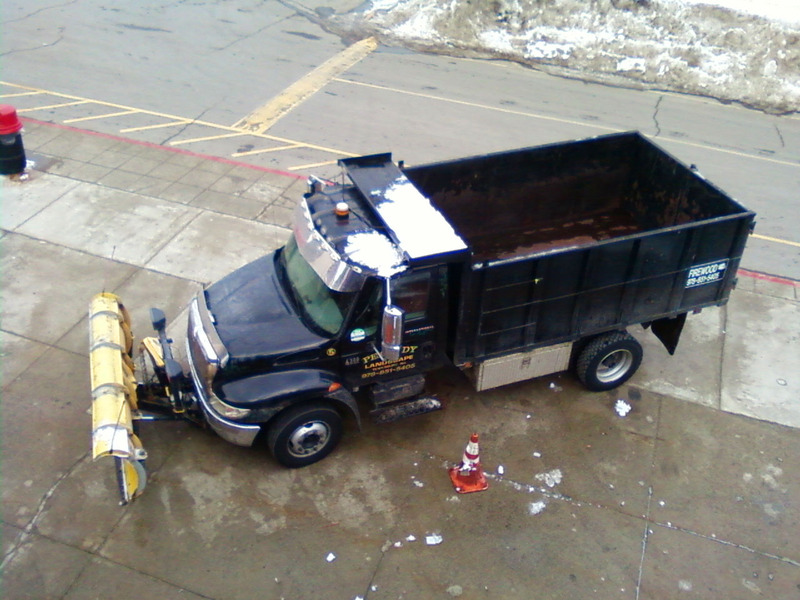 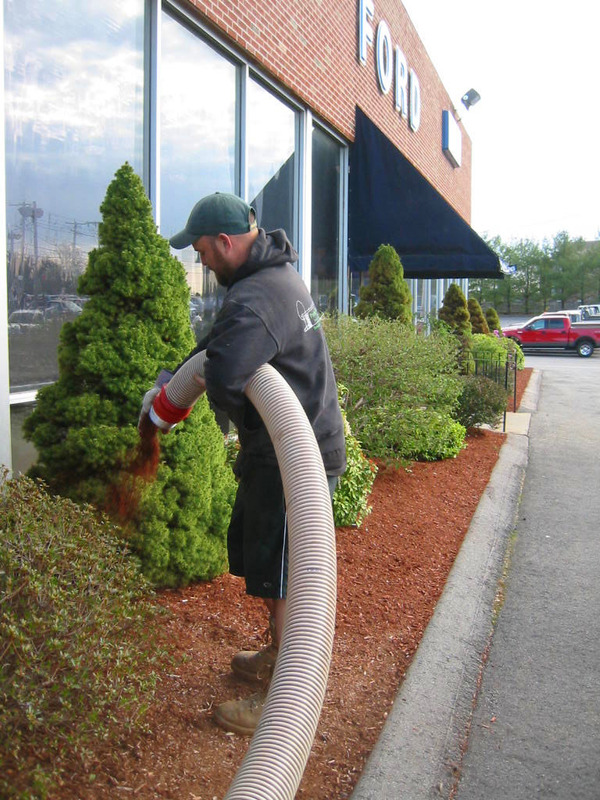 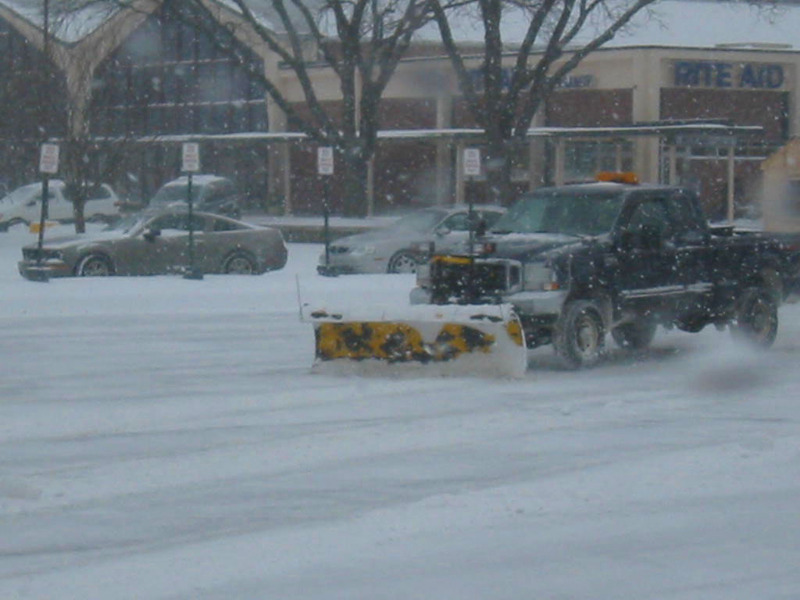 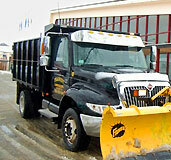 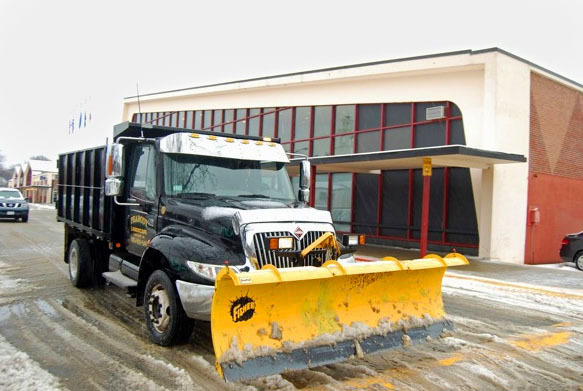 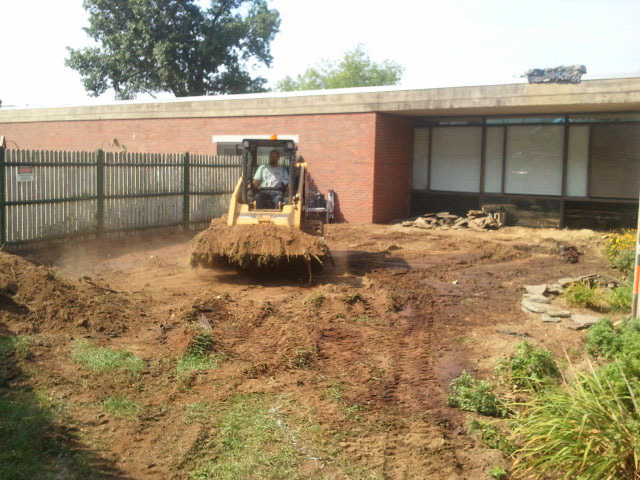 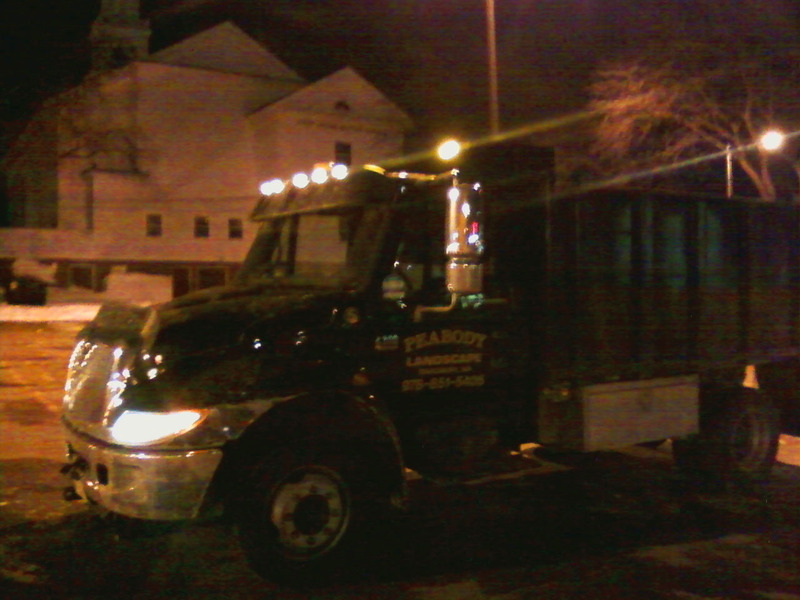 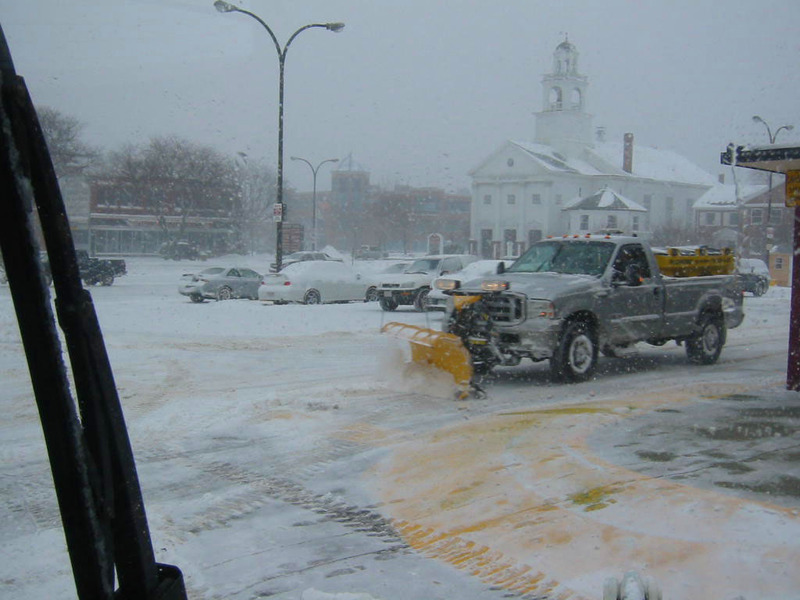 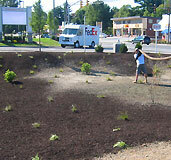 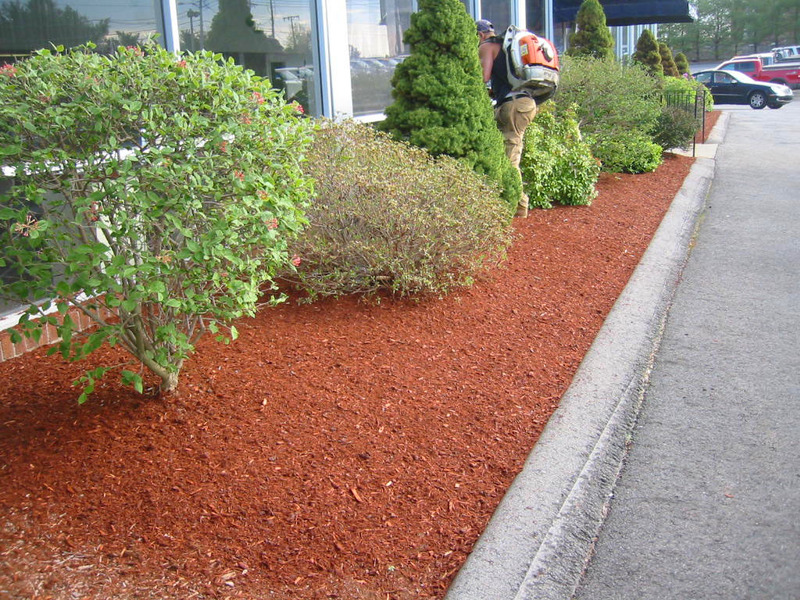 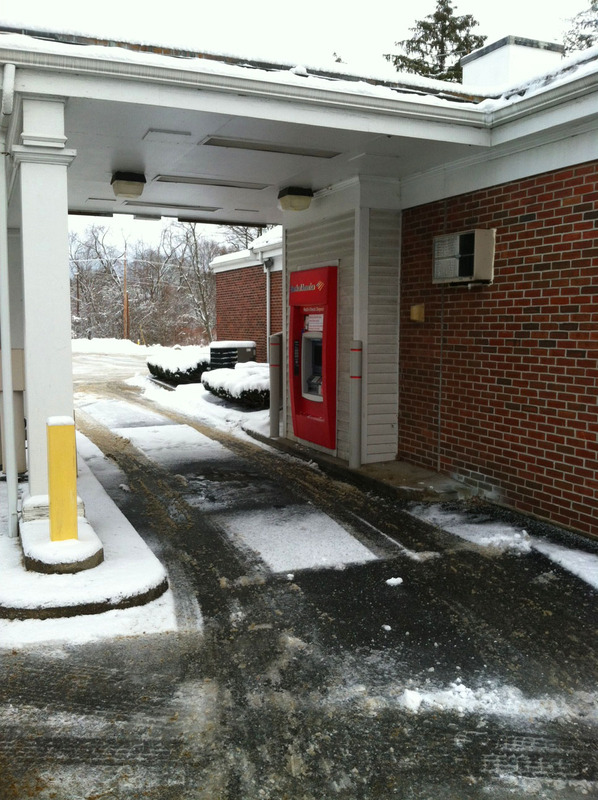 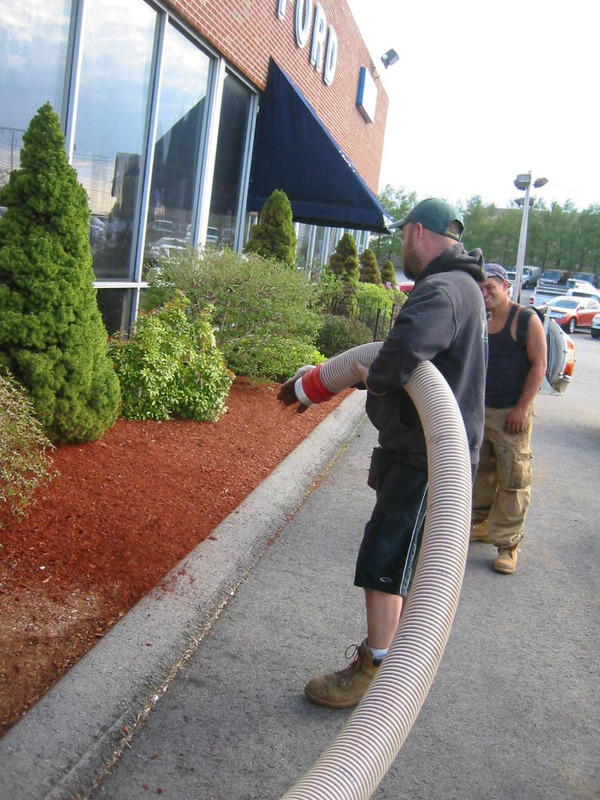 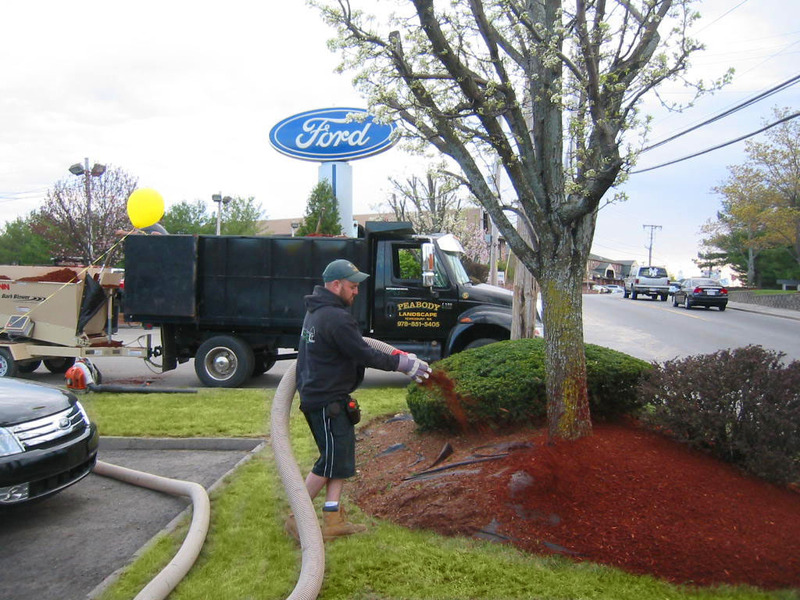 We were sub-contracted for mulch blowing of shopping plaza, 160 yards of Black Mulch. 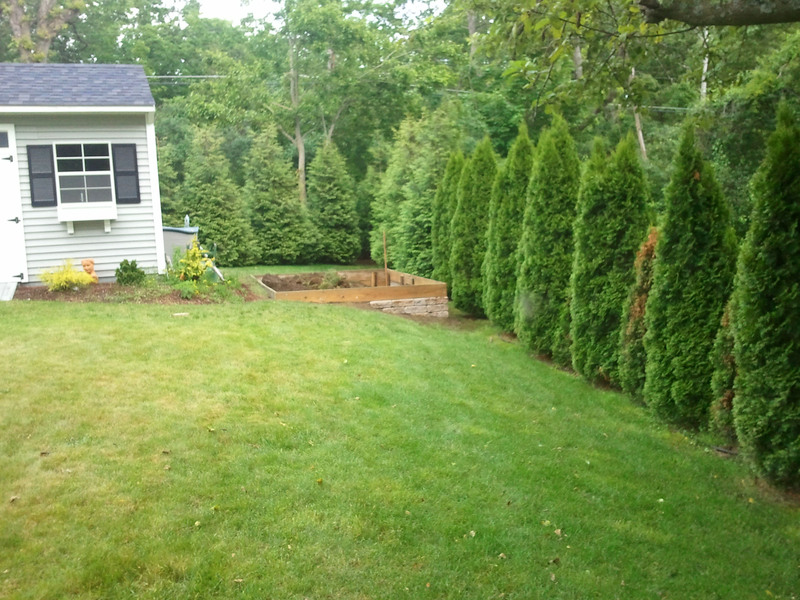 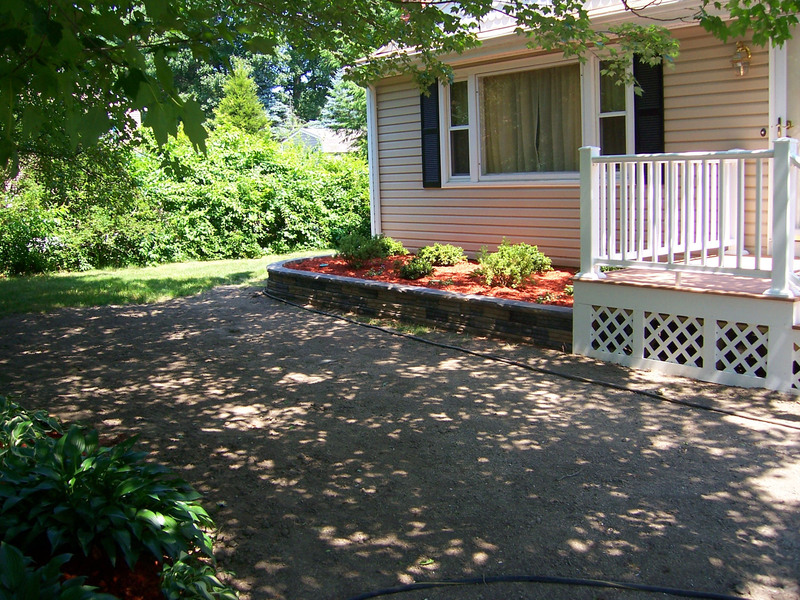 Complete renovation to backyard after addition was added to home. 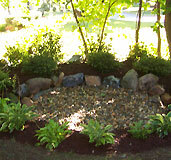 We created Beds for future plantings. 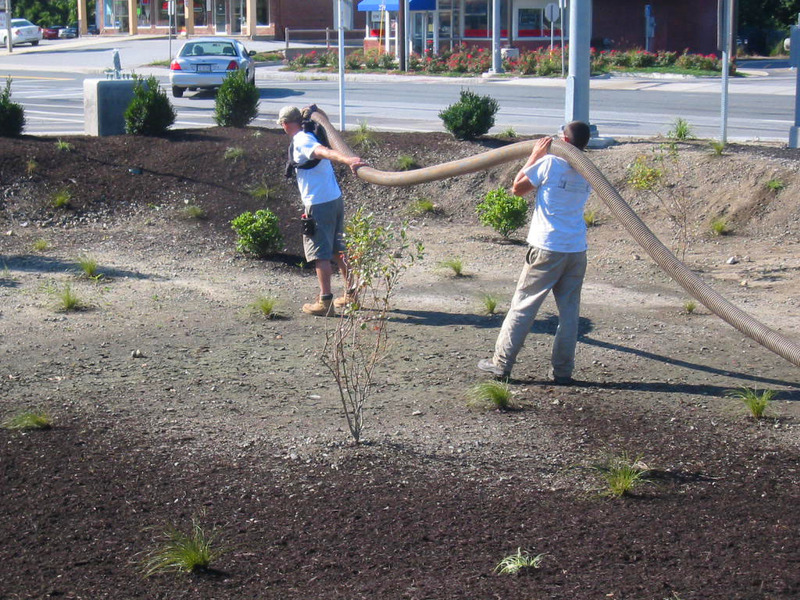 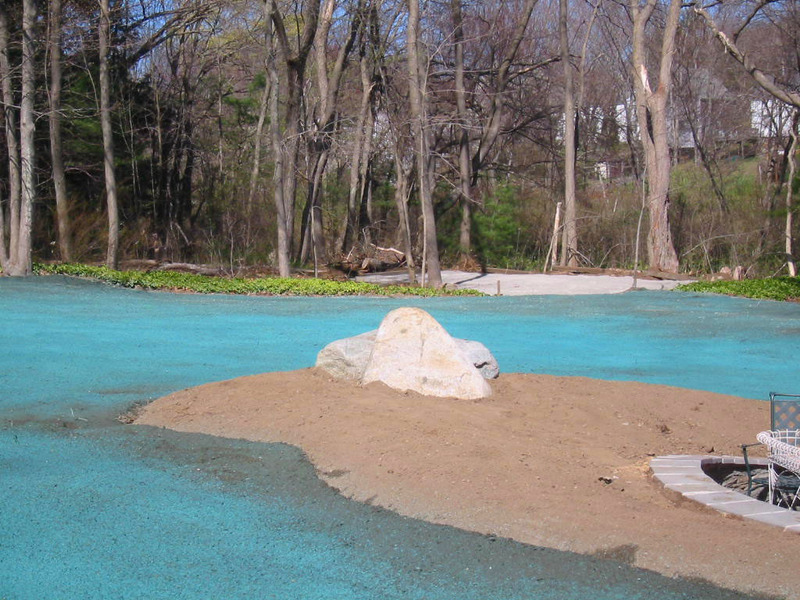 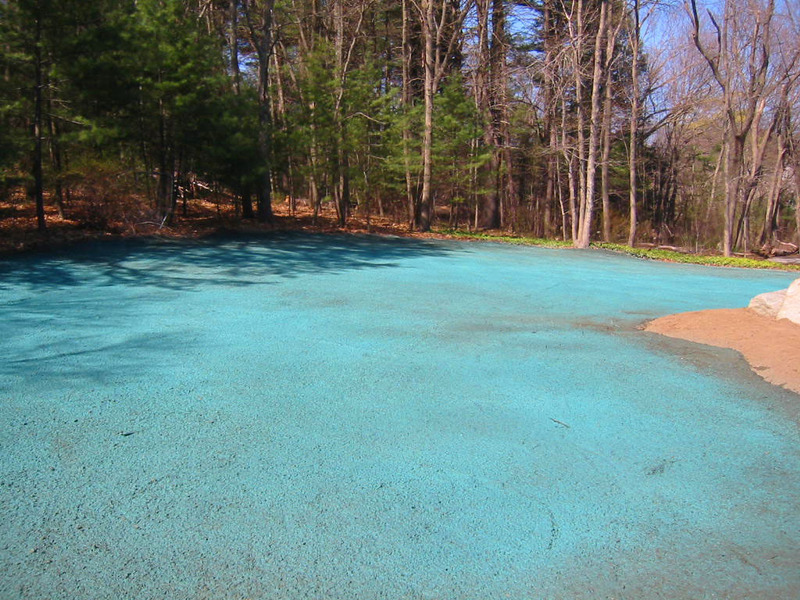 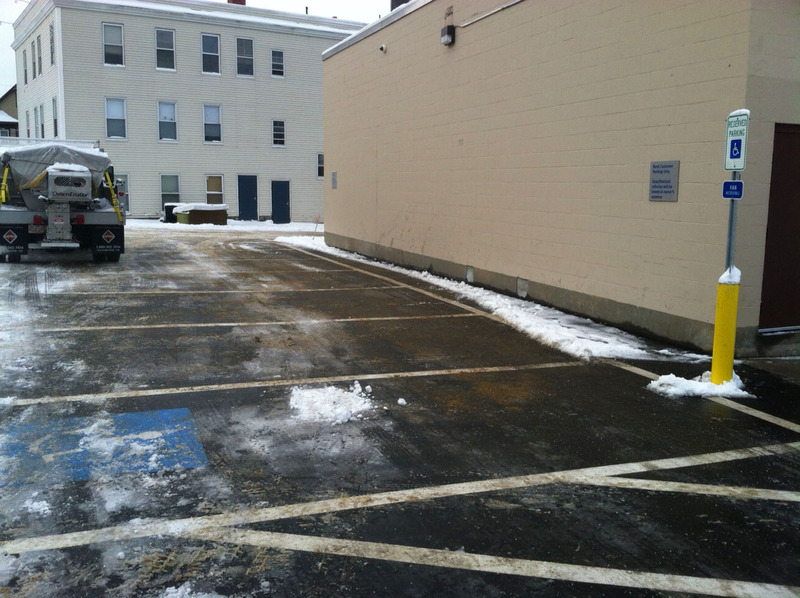 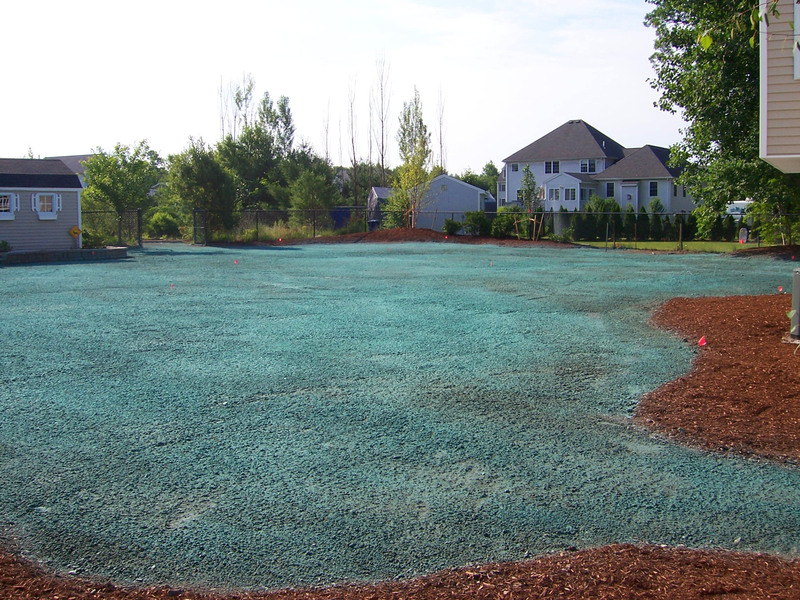 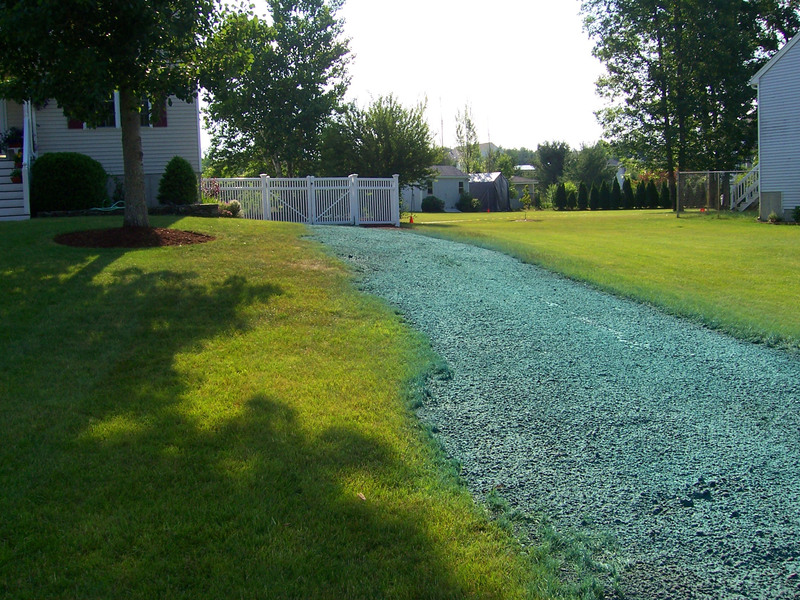 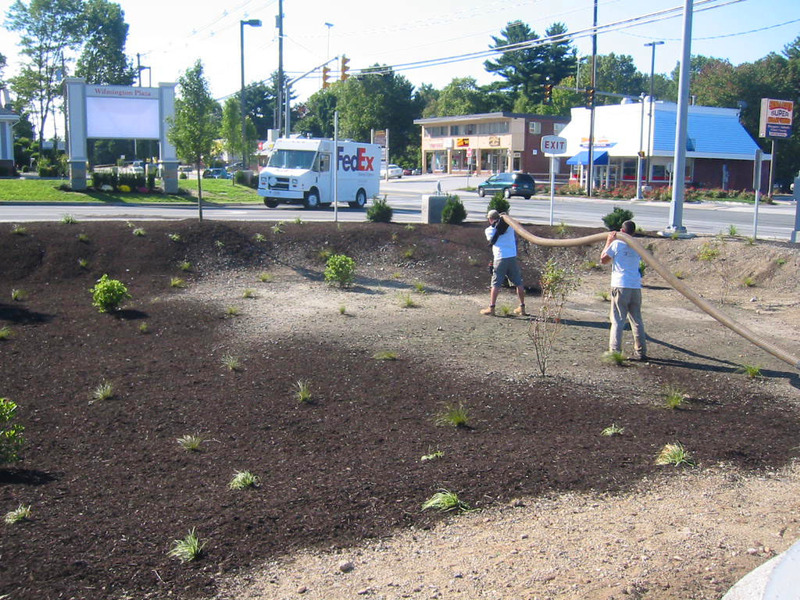 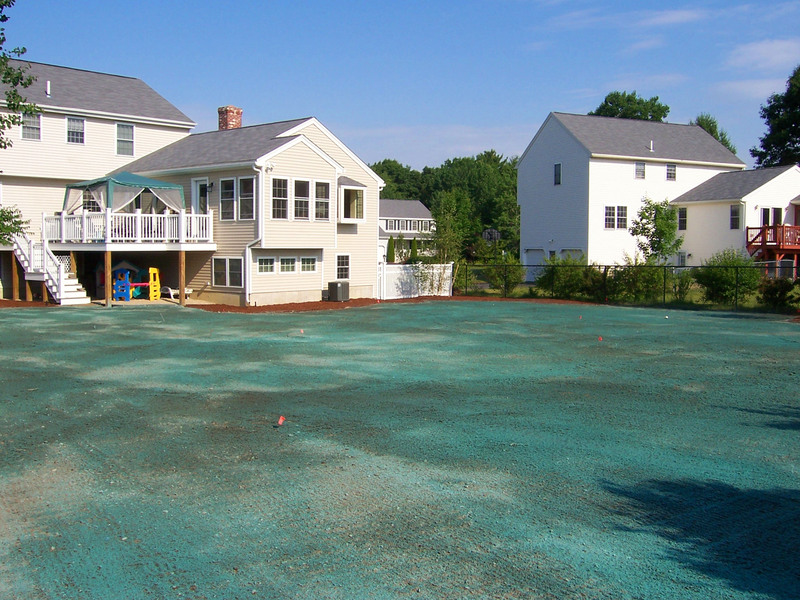 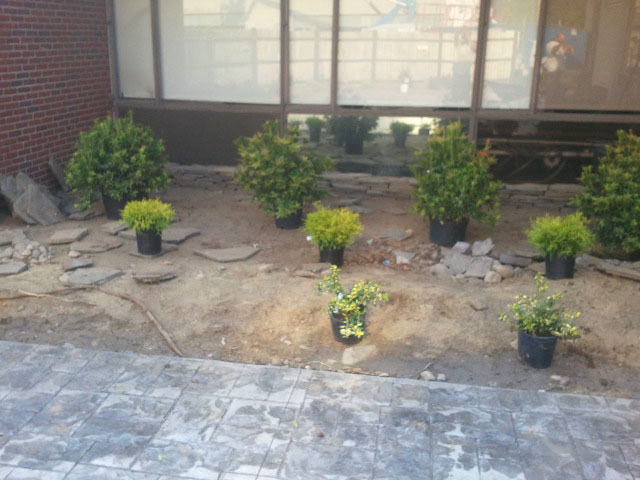 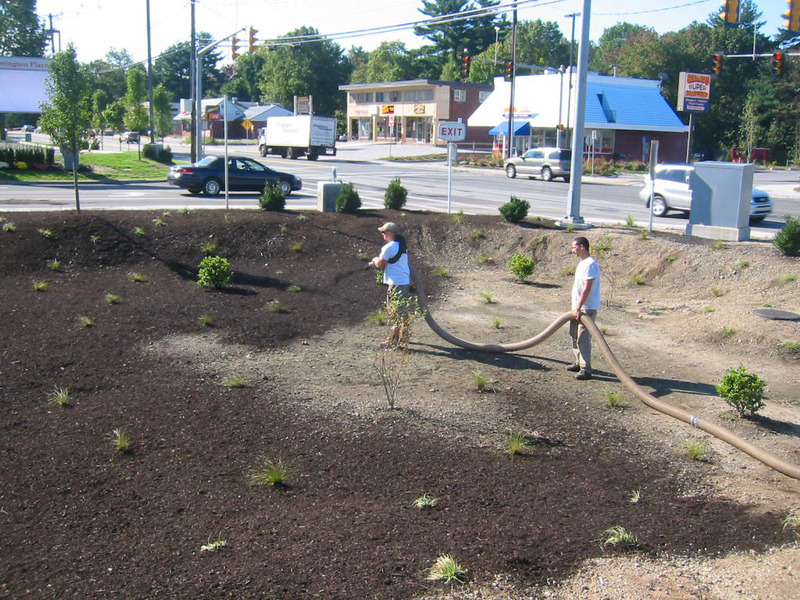 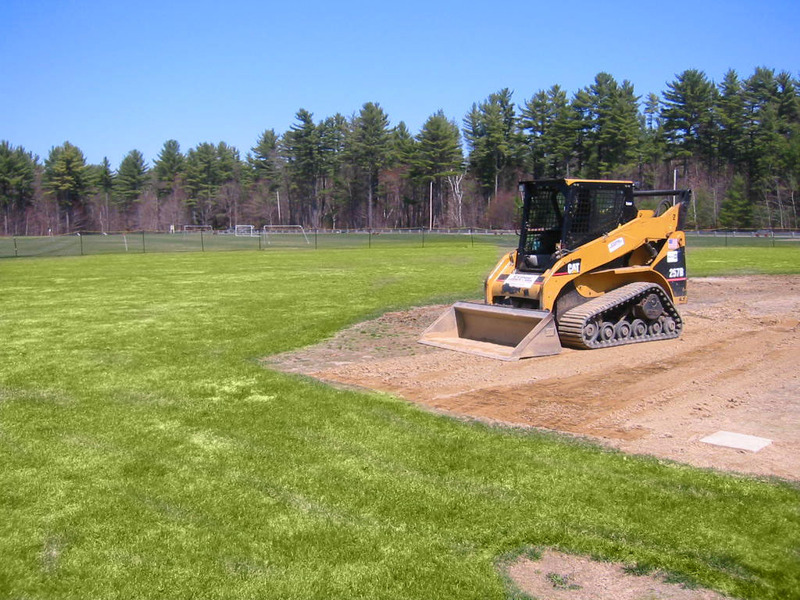 We also installed Irrigation and Hydroseeding. 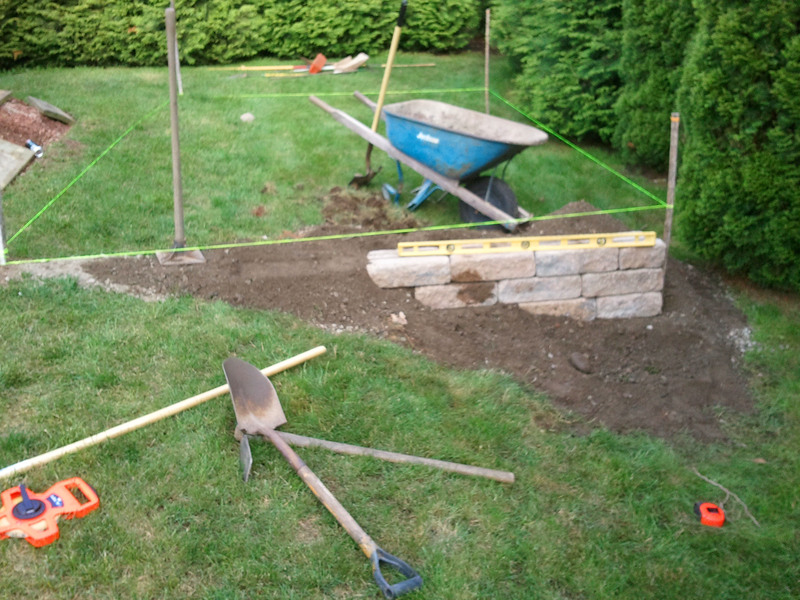 Installed walls, walks, patio, fencing, new irrigation system, plantings, stone beds and sod for this fall yard renovation project. 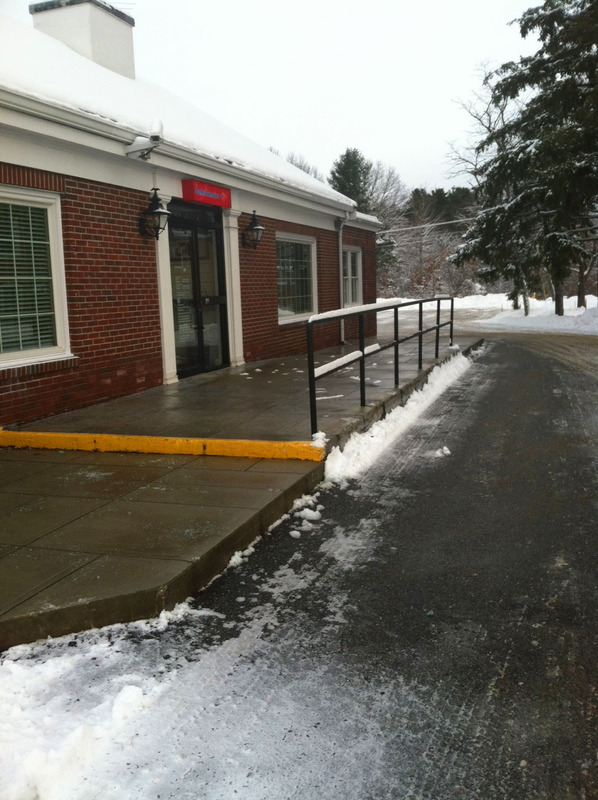 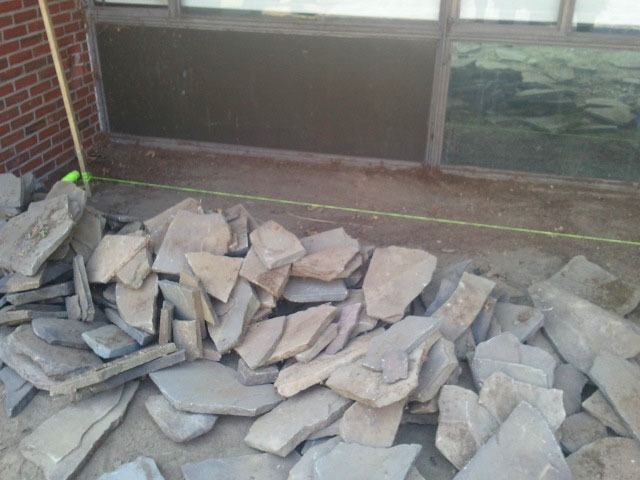 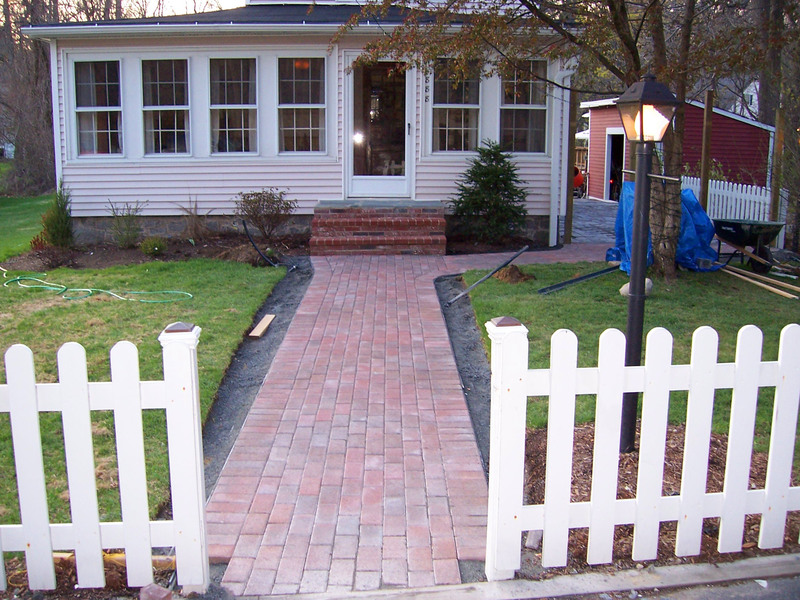 New walkway to front door. 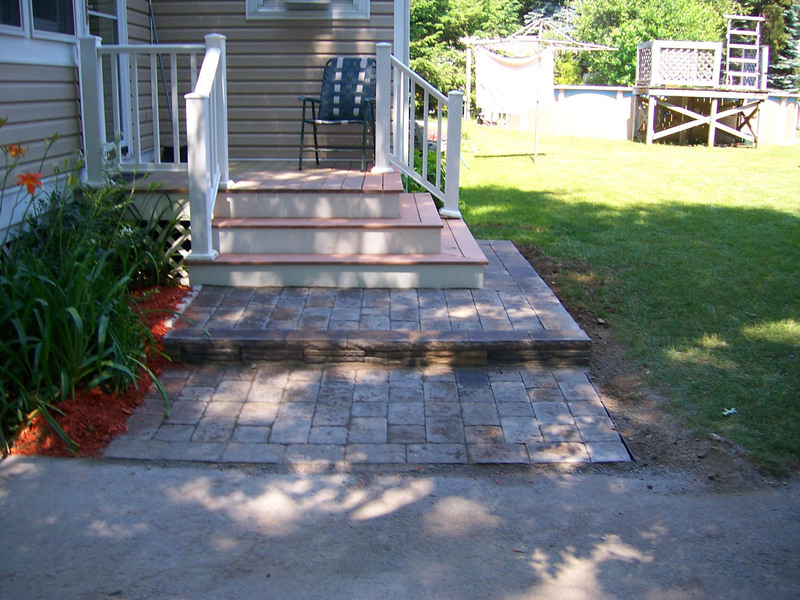 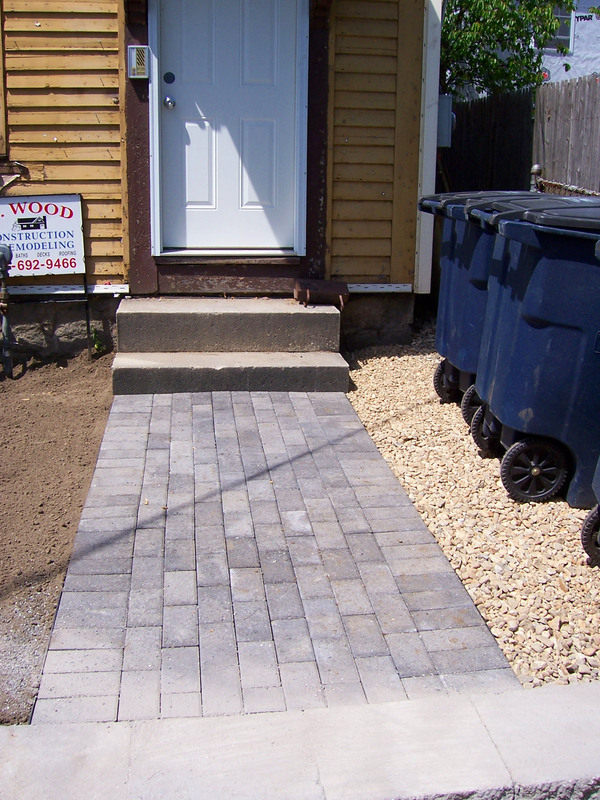 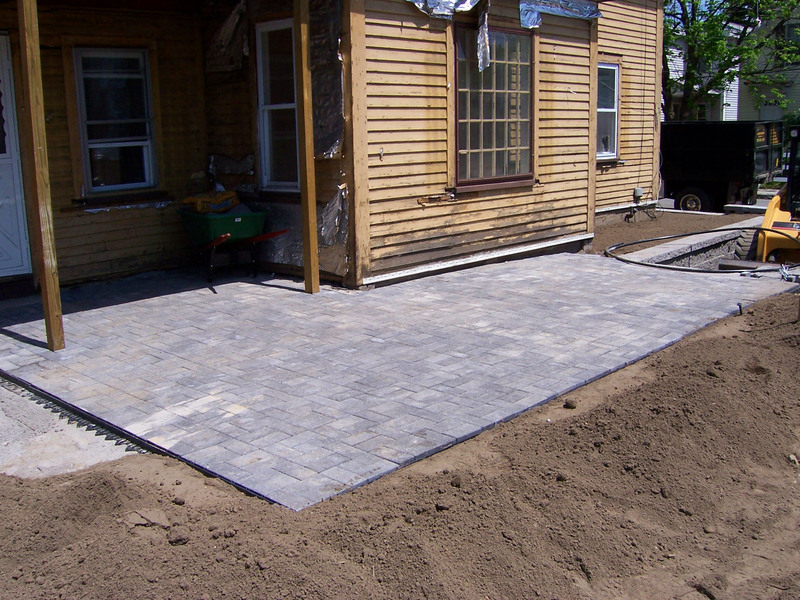 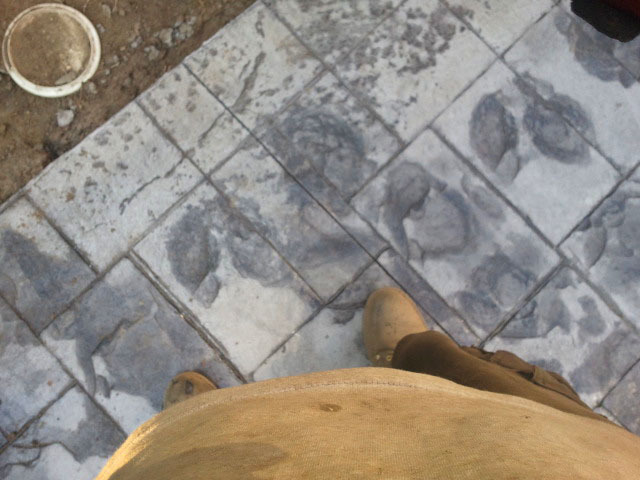 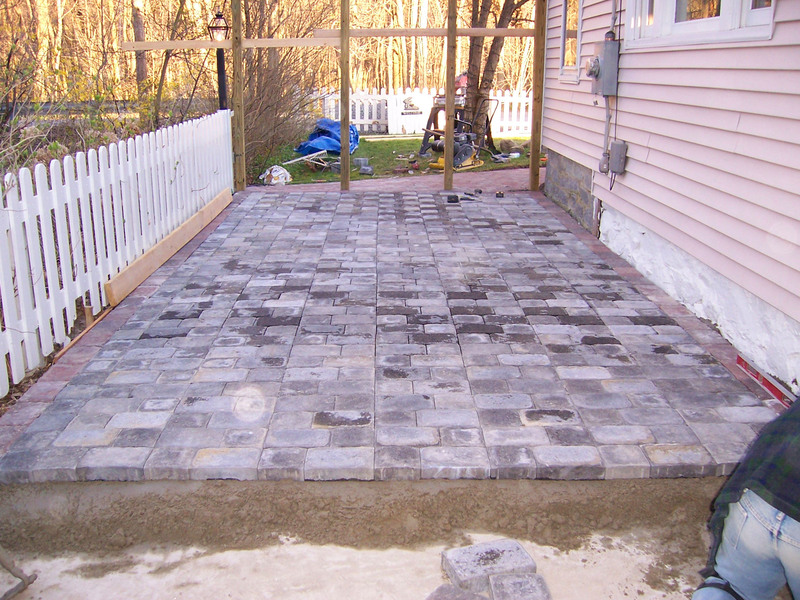 Walkway to back patio - Patio set over existing concrete slab to raise grade set in concrete. 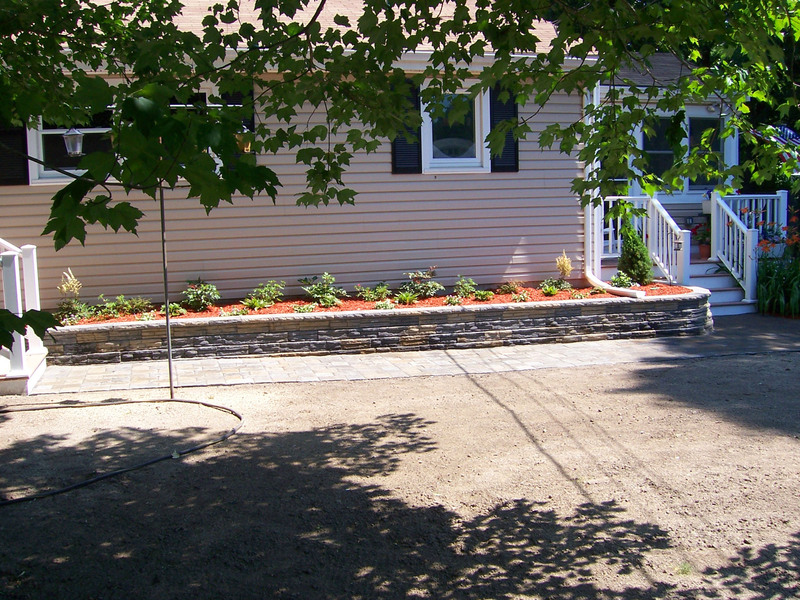 Built two raised planters with perennial gardens. 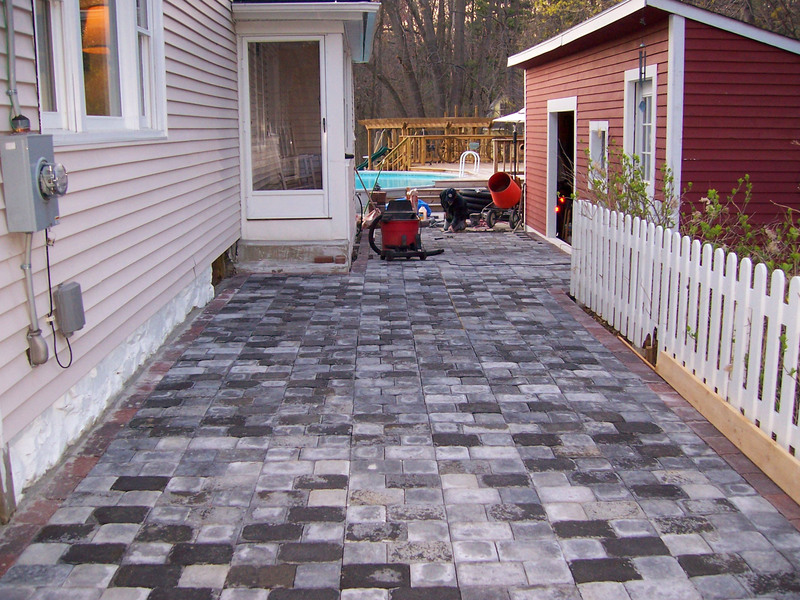 Created a new pavers walkway. 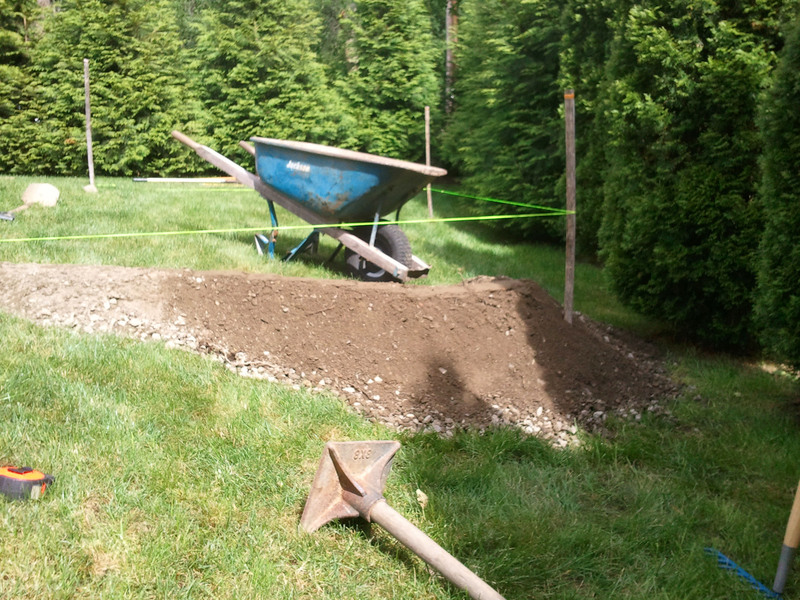 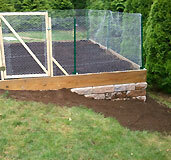 Customer wanted a raised vegetable garden in a wasted part of the yard on a slope. 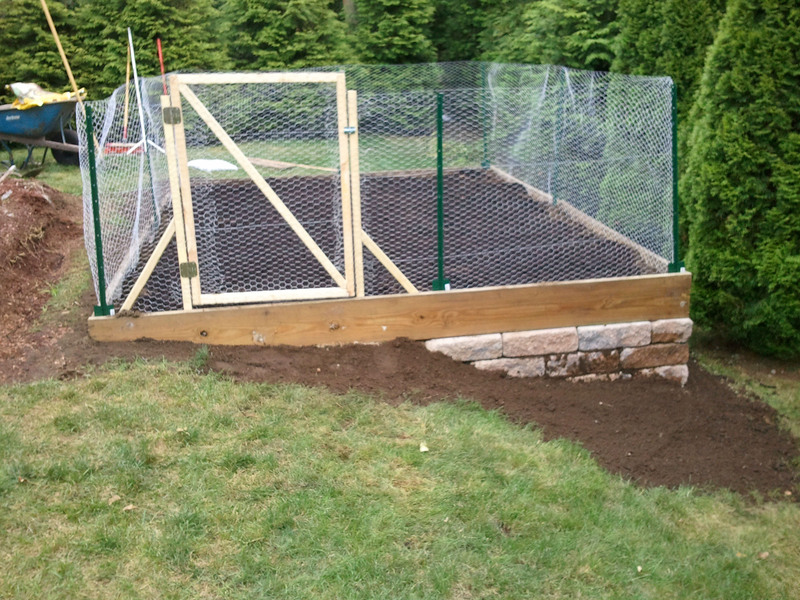 We used a short wall to level the garden. 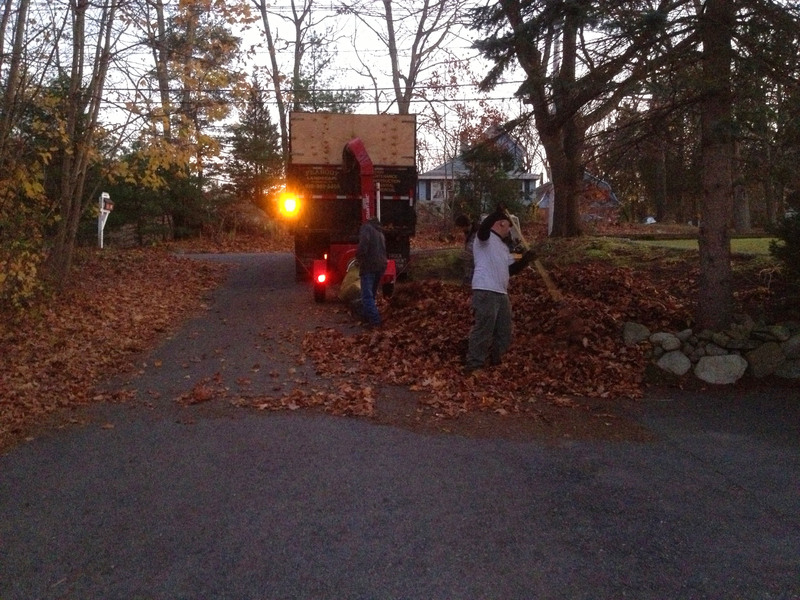 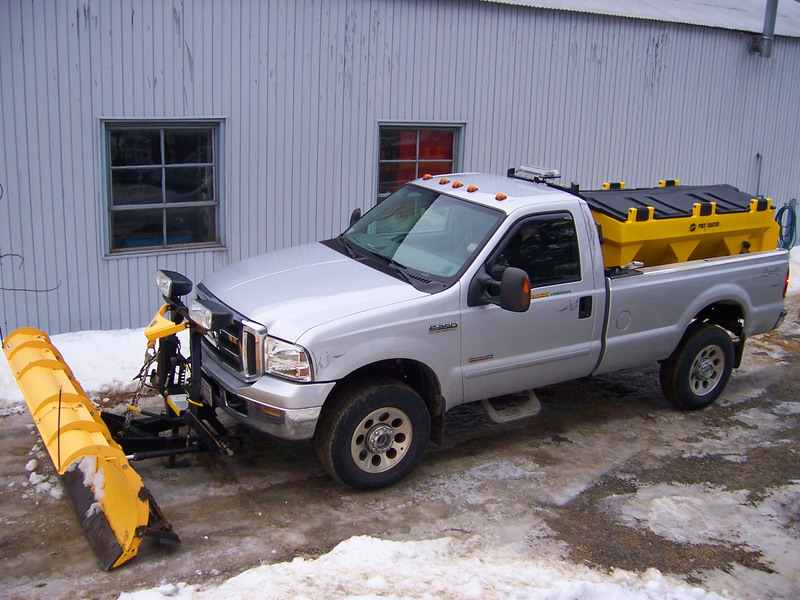 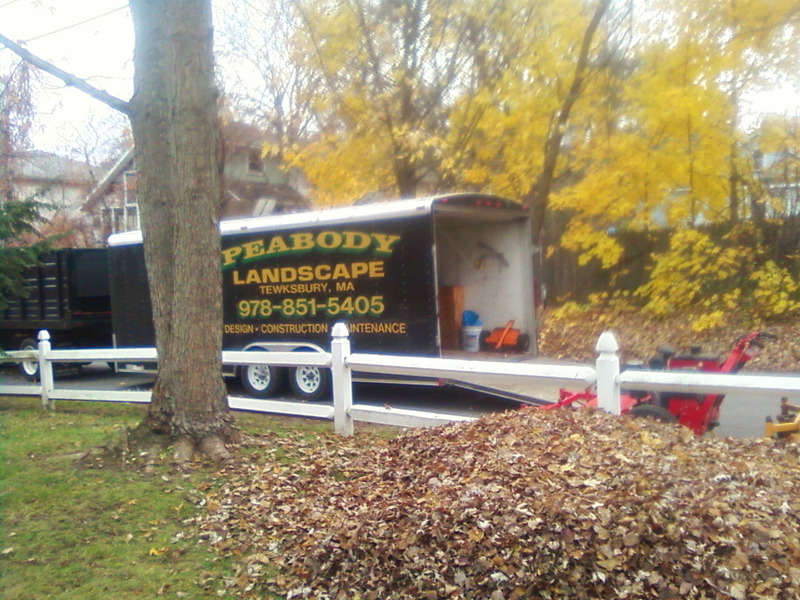 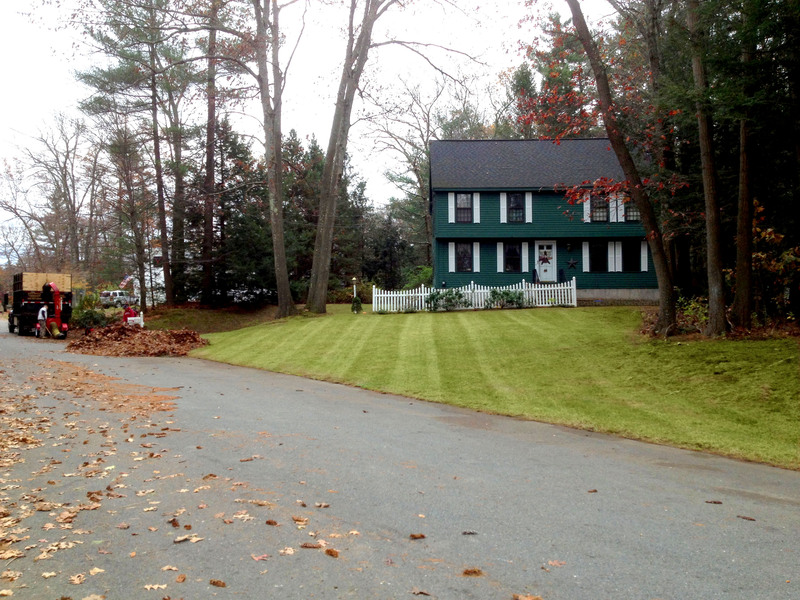 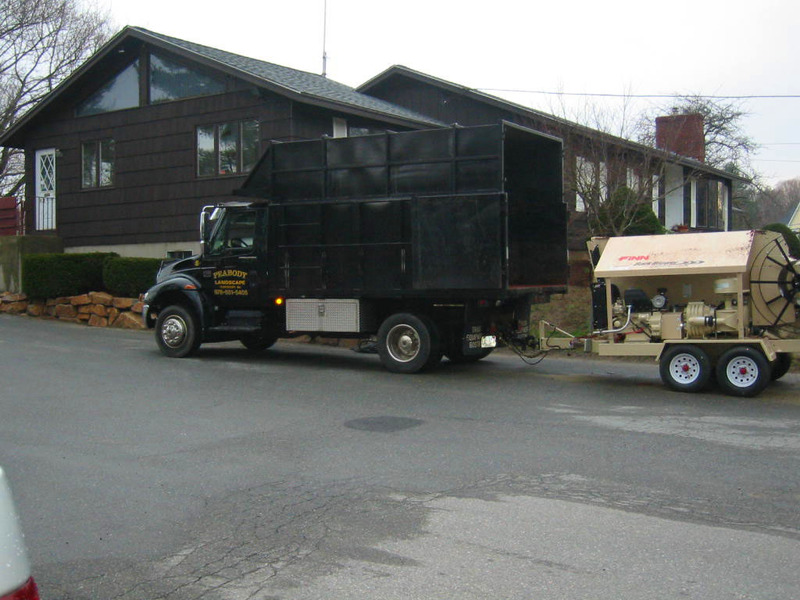 Fall Clean-Ups which include leaf removal and disposal. 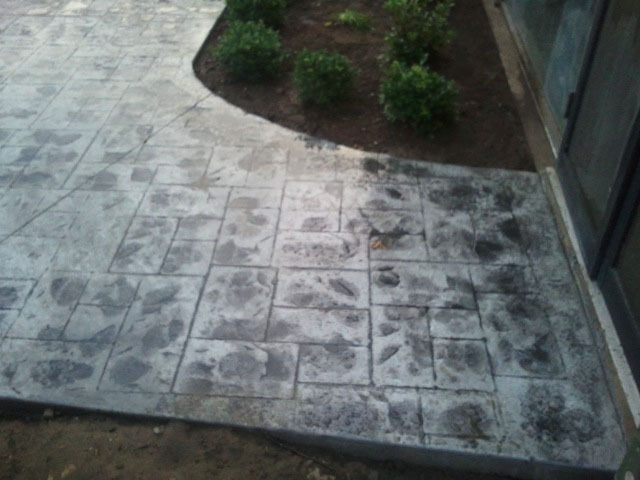 Created an outdoor patio with stamped concrete patio and plantings. 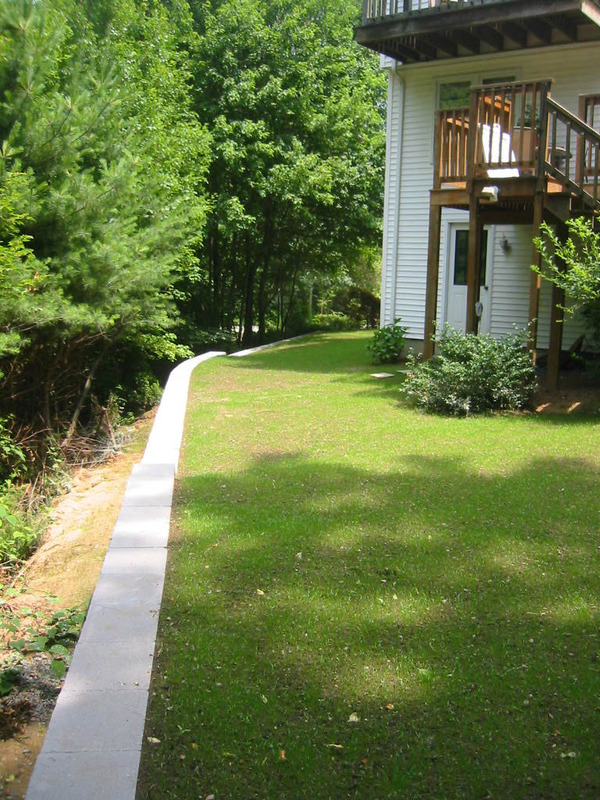 Problem: Sloped backyard with no level areas. 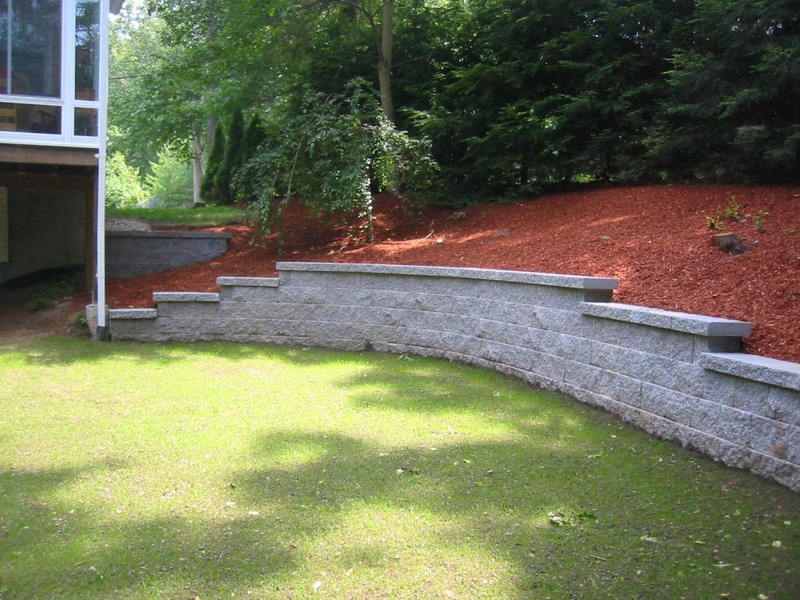 Solution: Created 3 walls to level an area to enjoy. 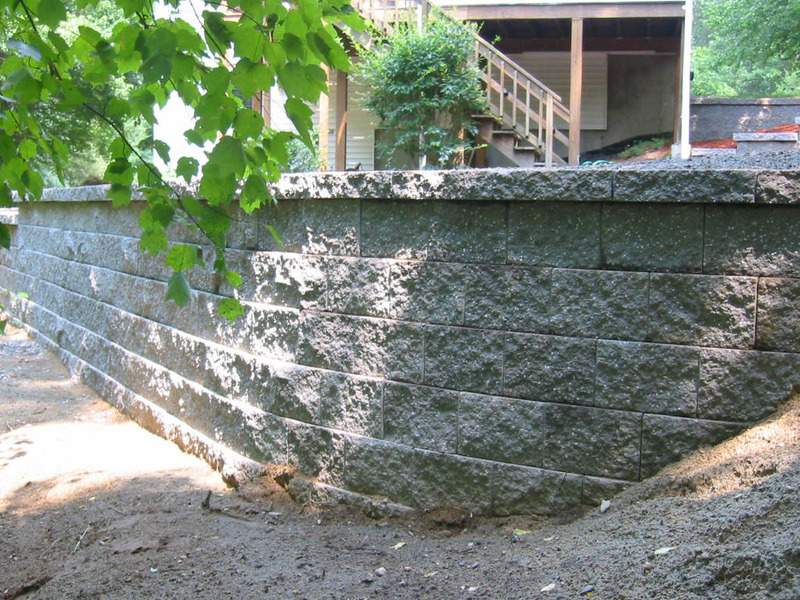 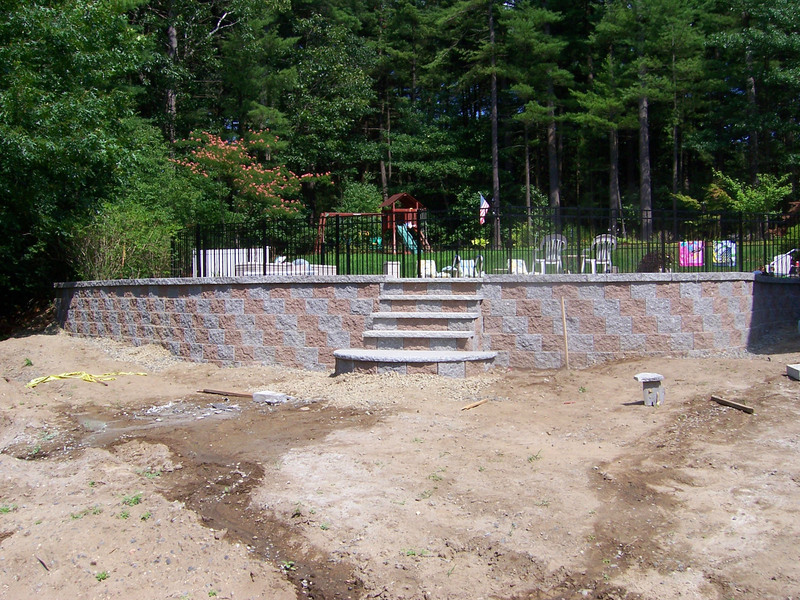 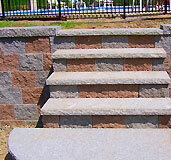 Wall to separate the raised pool area. 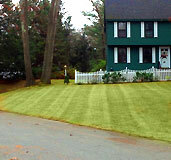 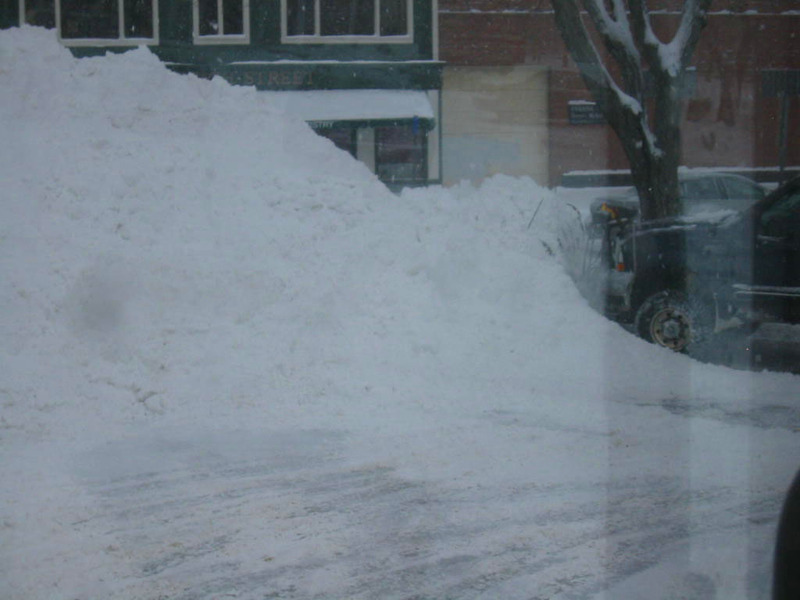 This picture view is from the front yard. 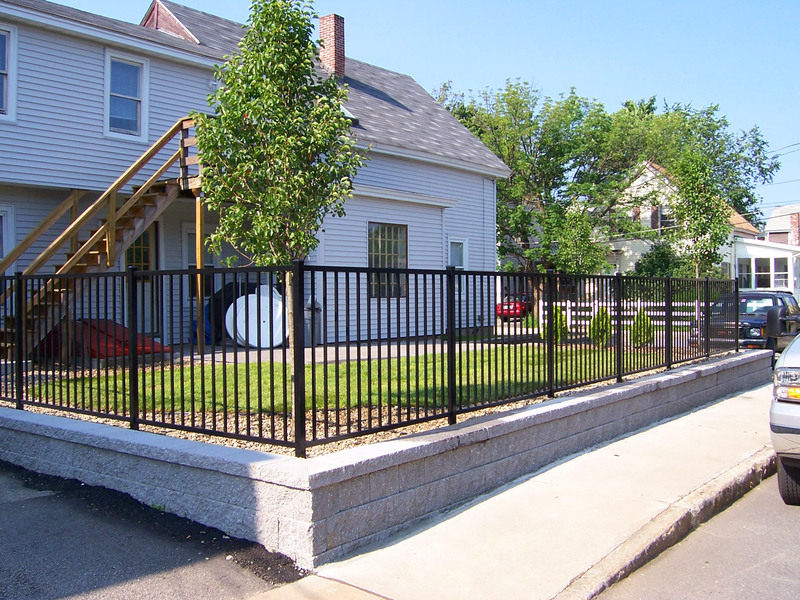 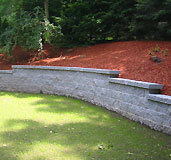 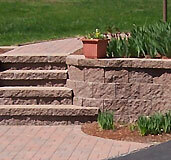 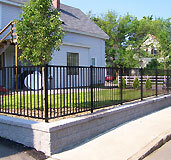 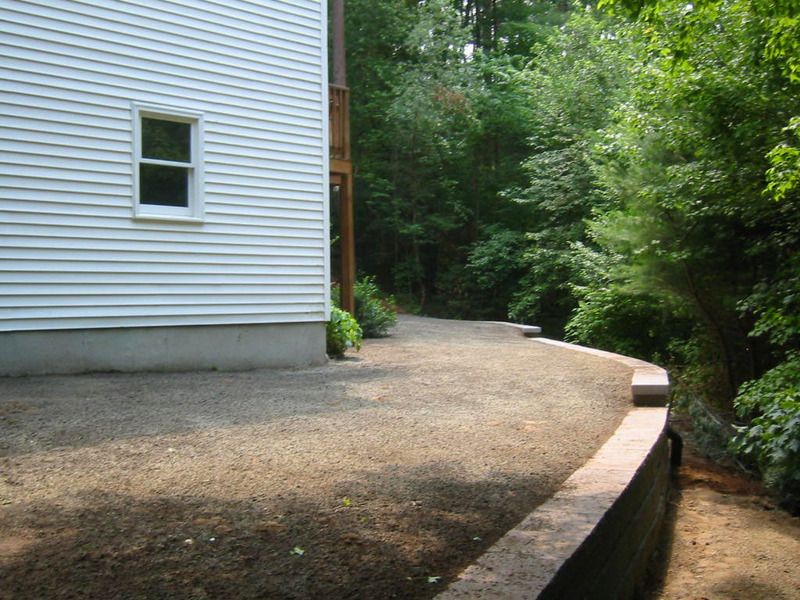 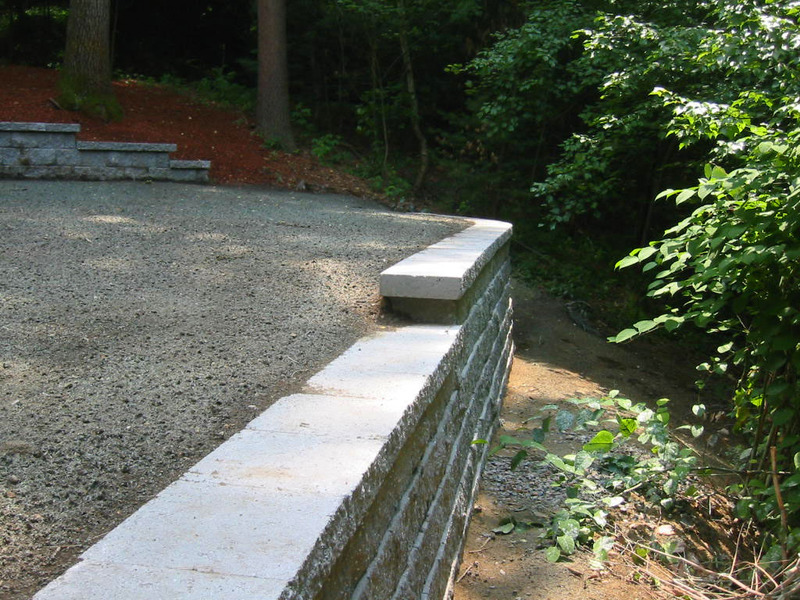 We did a short retaining wall and walkways. 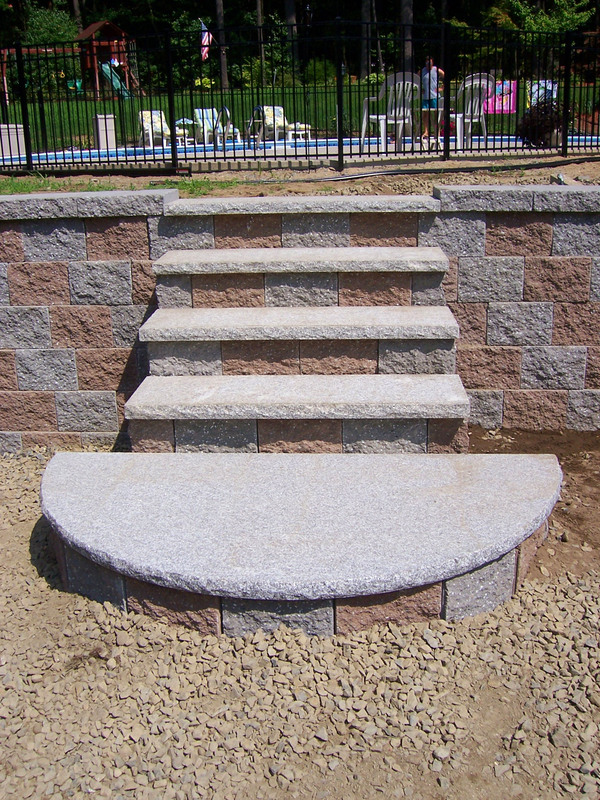 Creates a nice seperation of elevation. 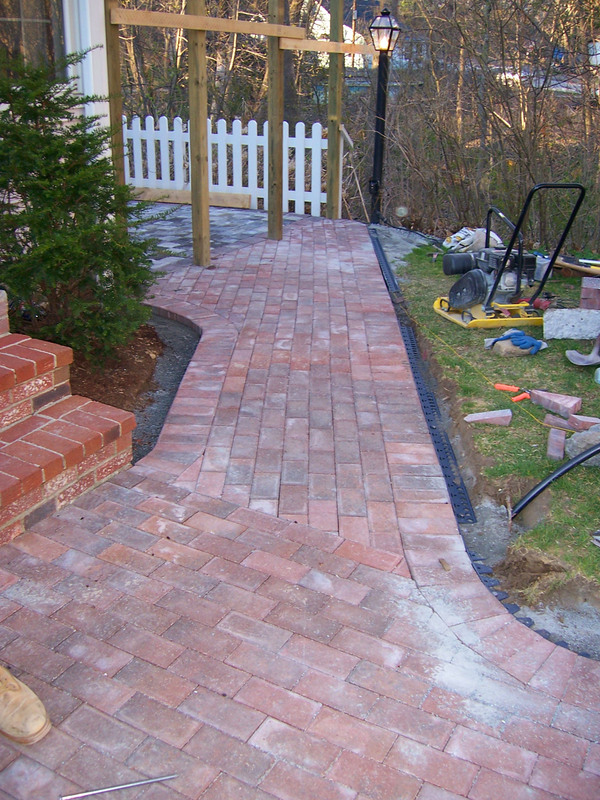 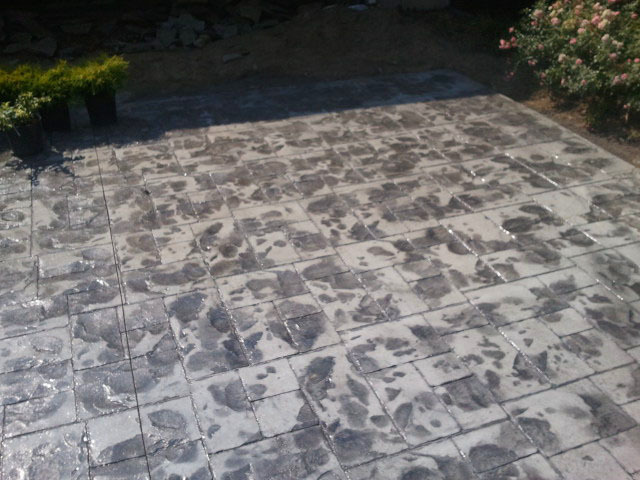 Walkway we did to a rear deck. 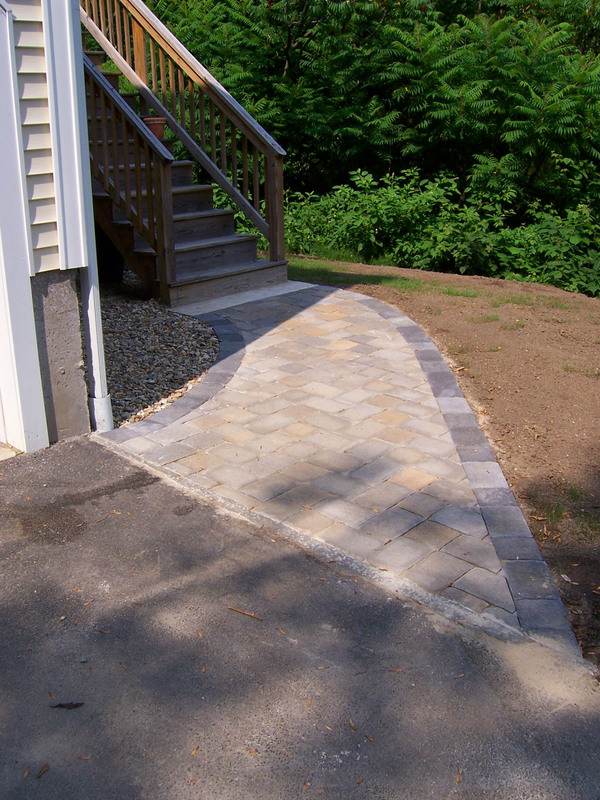 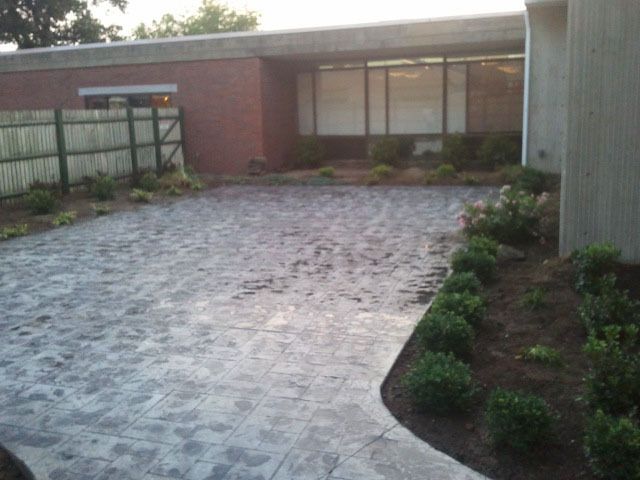 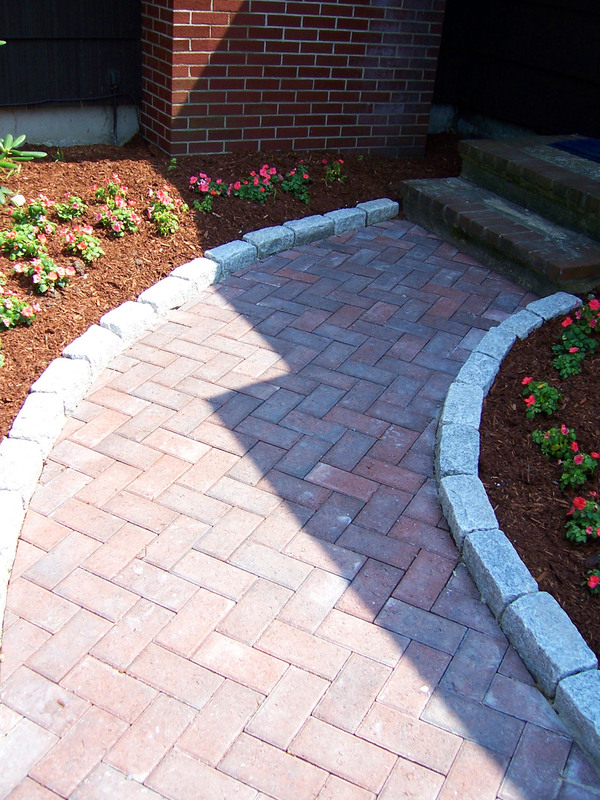 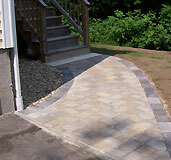 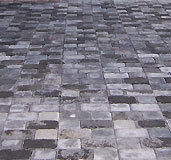 We used a Herringbone Pattern Walk with raised Cobble Stone border. 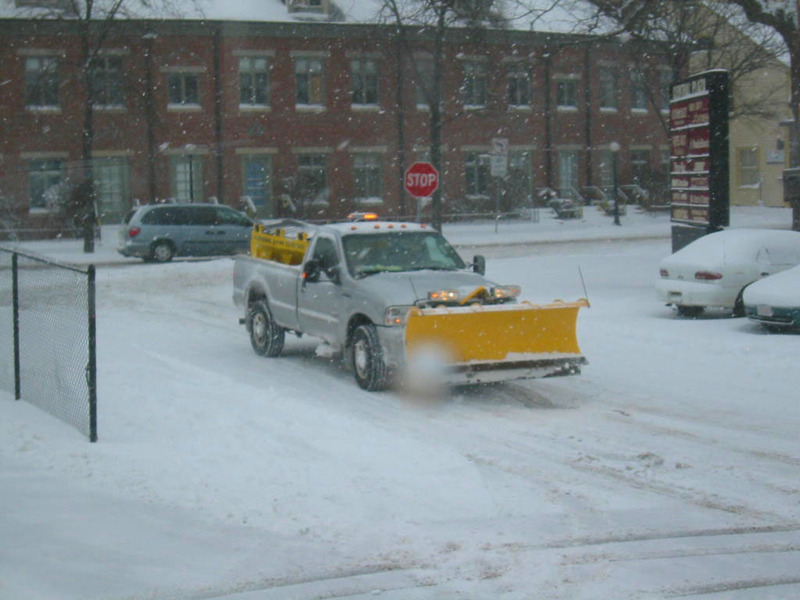 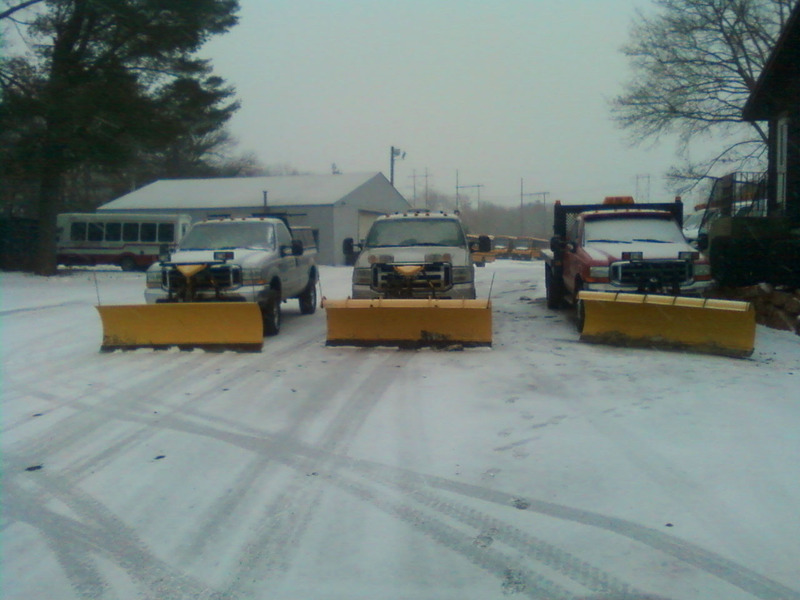 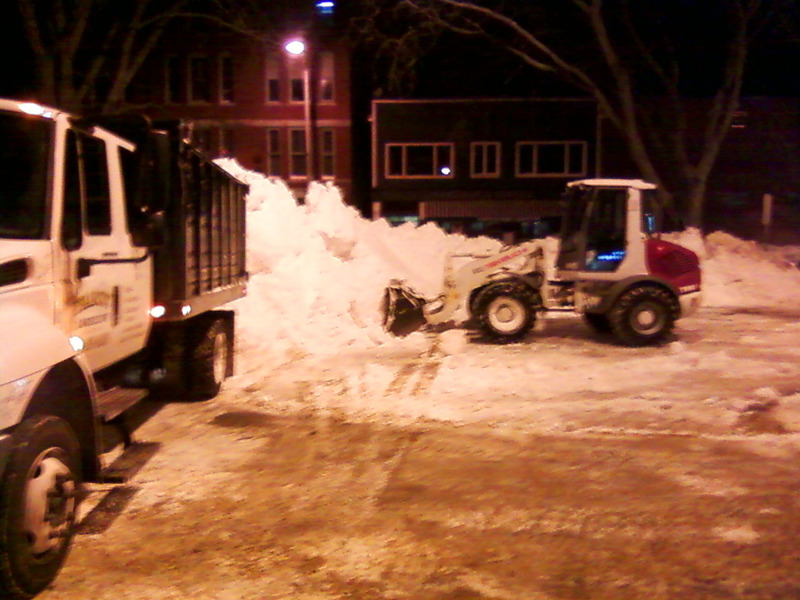 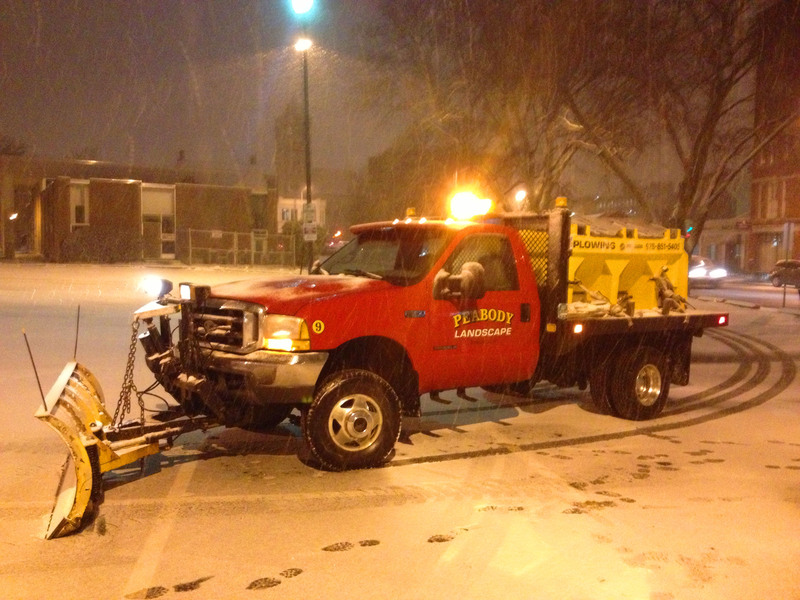 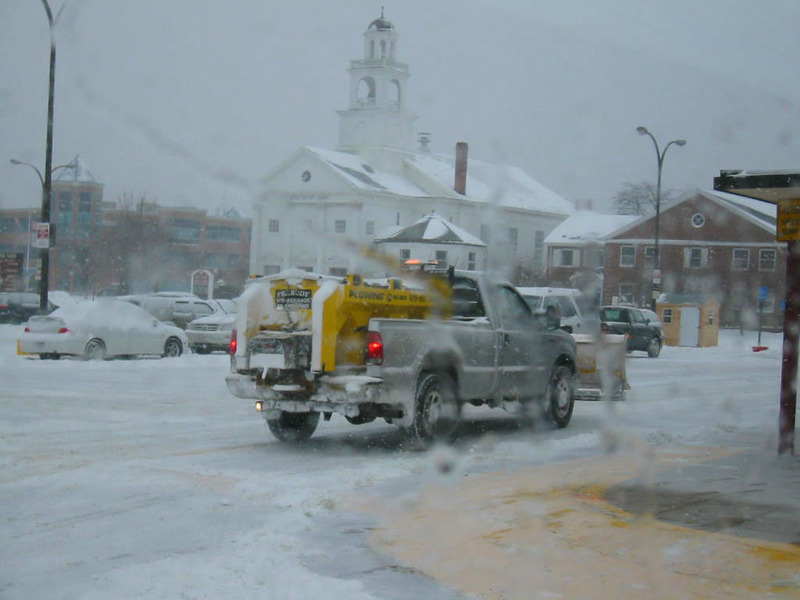 Some of our equipment in action and waiting.